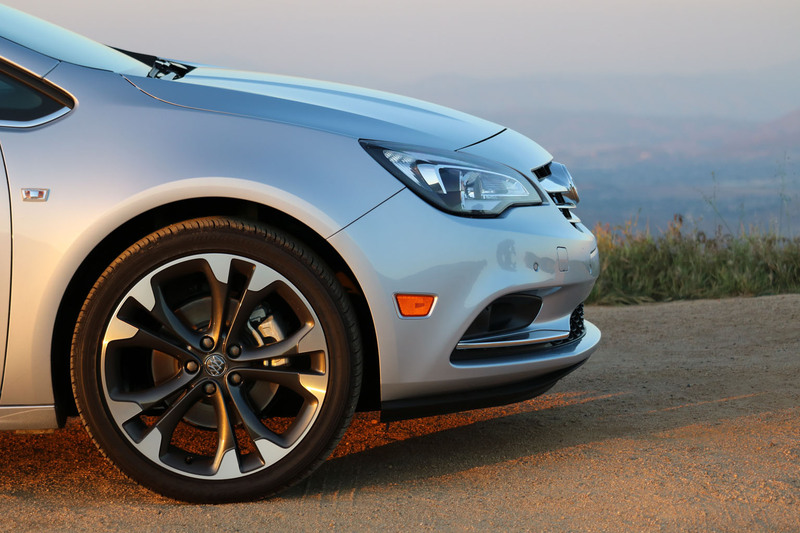 I know, I know, this car is an GM Europe Opel Development, and produced in GM’s Poland facilities, It’s not perfect in fit and finish and uses quite a few carry-over parts from the GM parts bin, but man, I really do love this car a lot. 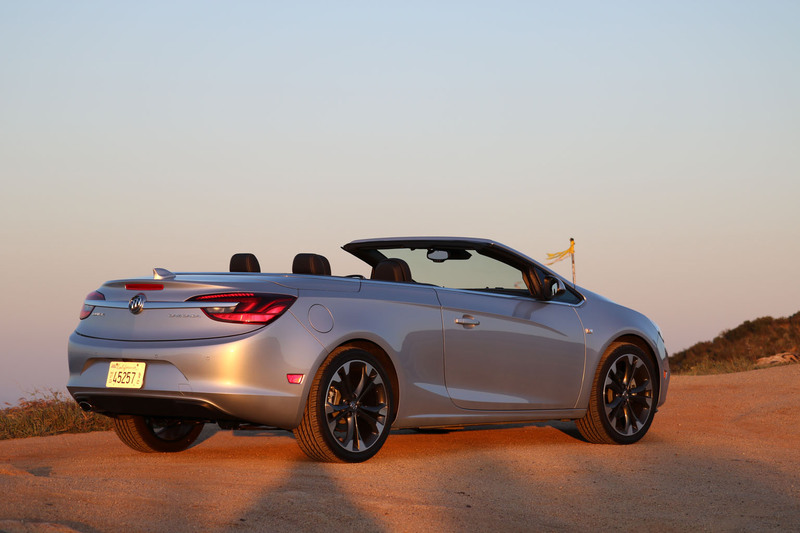 The exterior design is gorgeous, dynamic and sophisticated, fresh and young, yet not too brash for more mature age, it has 4 seats and does not coast you the world. 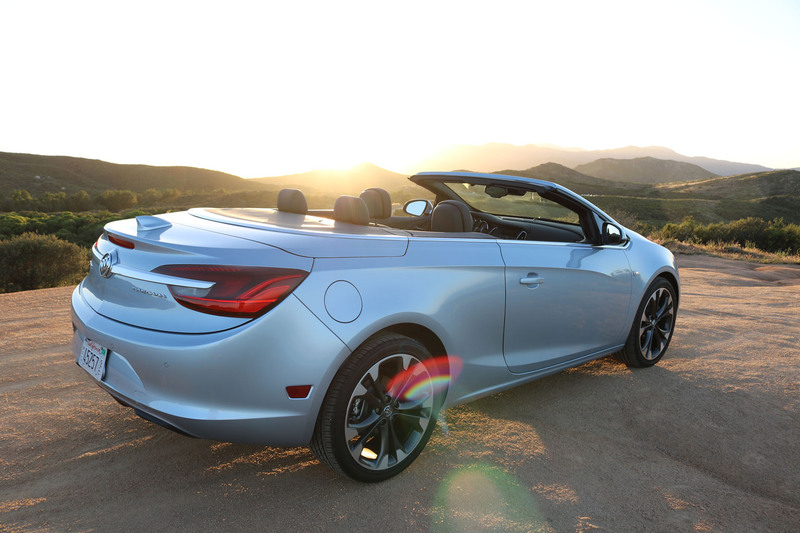 In truth, I see this as a long-awaited replacement for the Chrysler Sebring Convertible, a car I used to own and love back at the end of the 90’s. 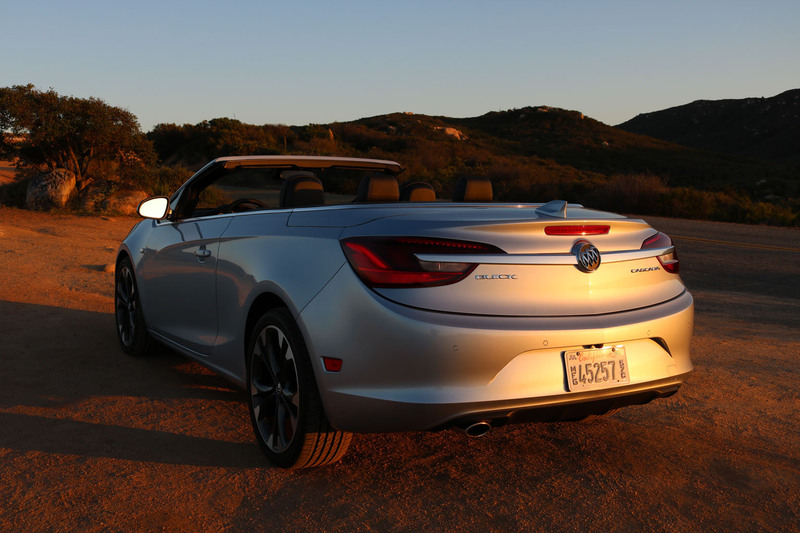 Chrysler abused and abandoned that category with really bad quality replacements and uninspired designs. 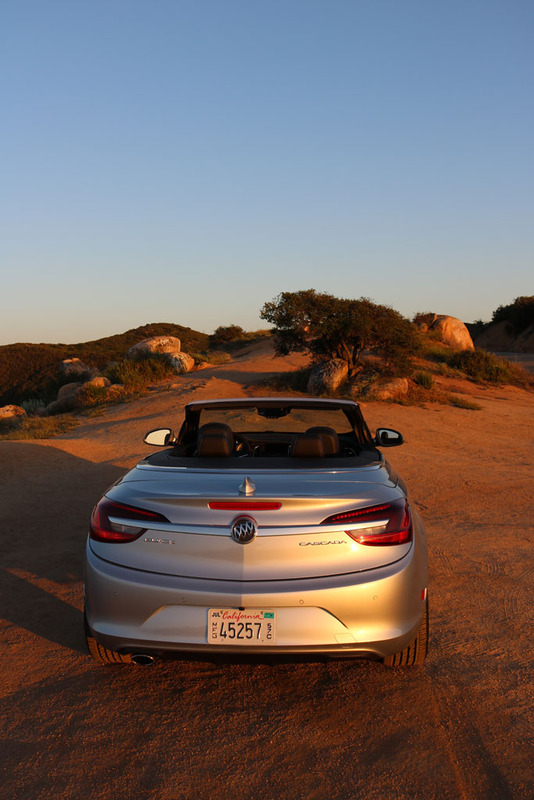 I’m not even sure if they still carry what is left of it, but I hope they don’t. 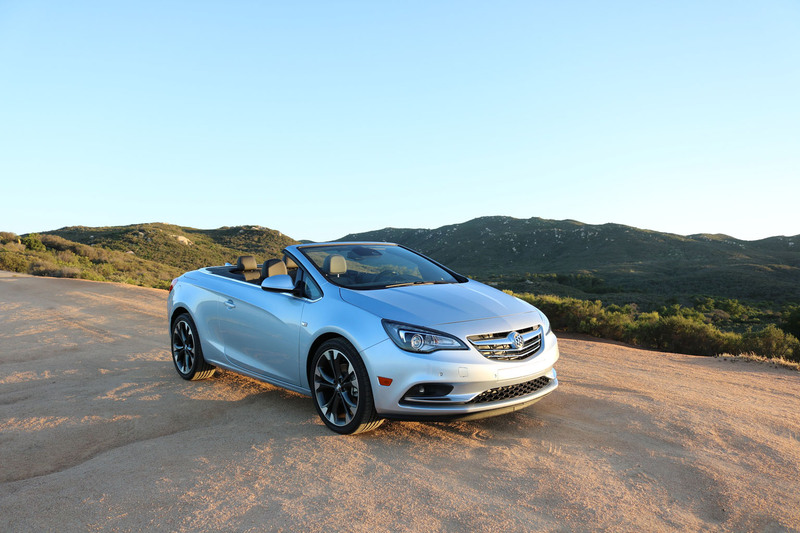 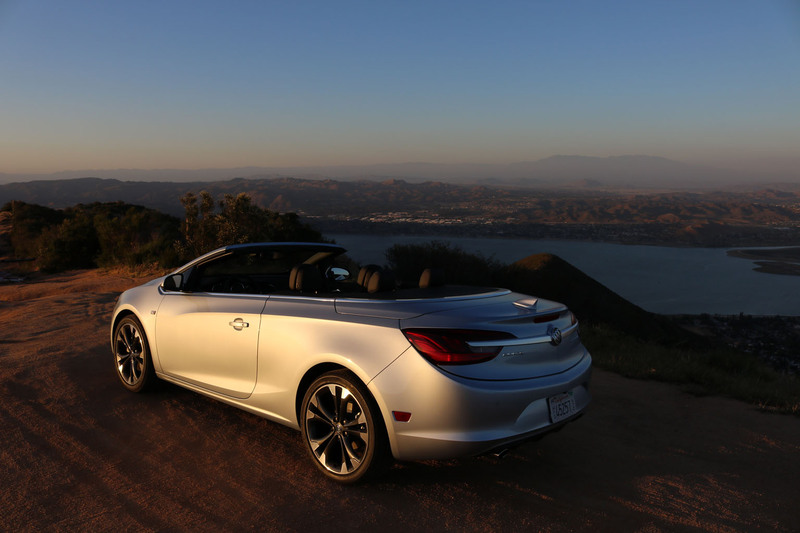 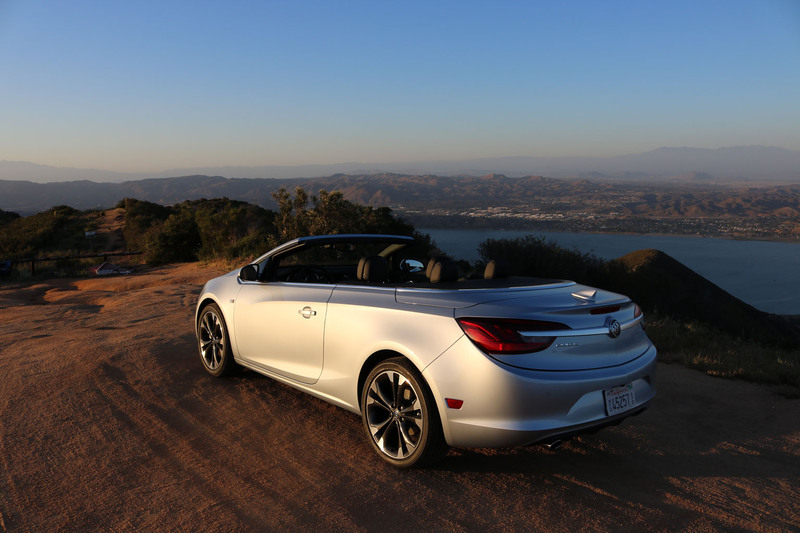 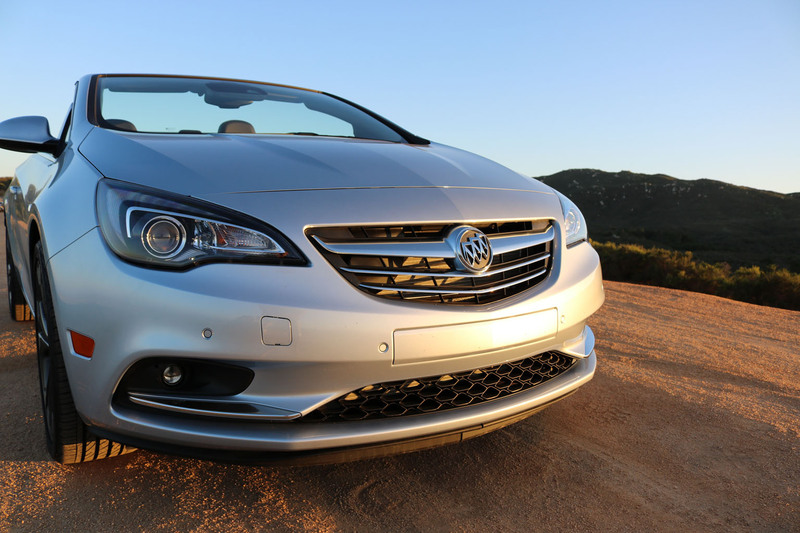 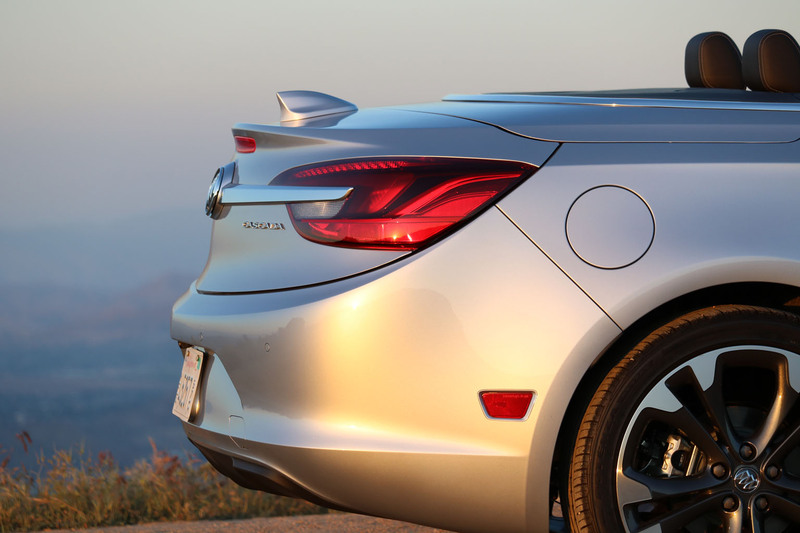 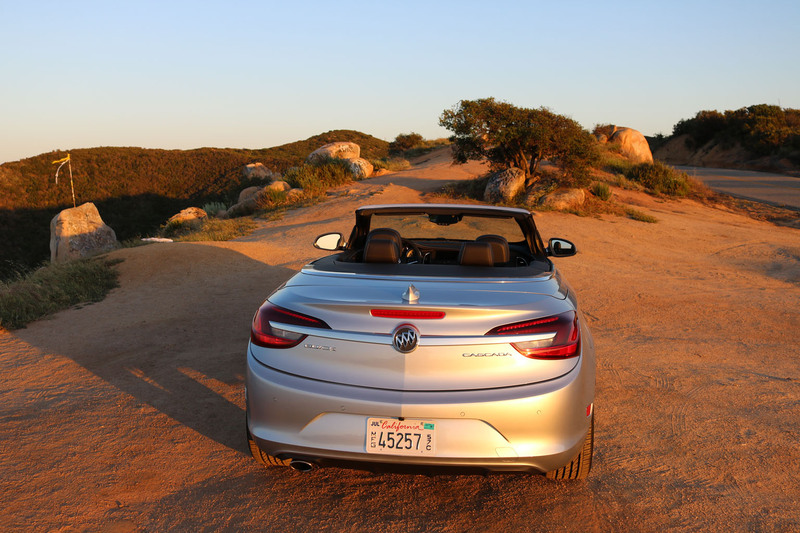 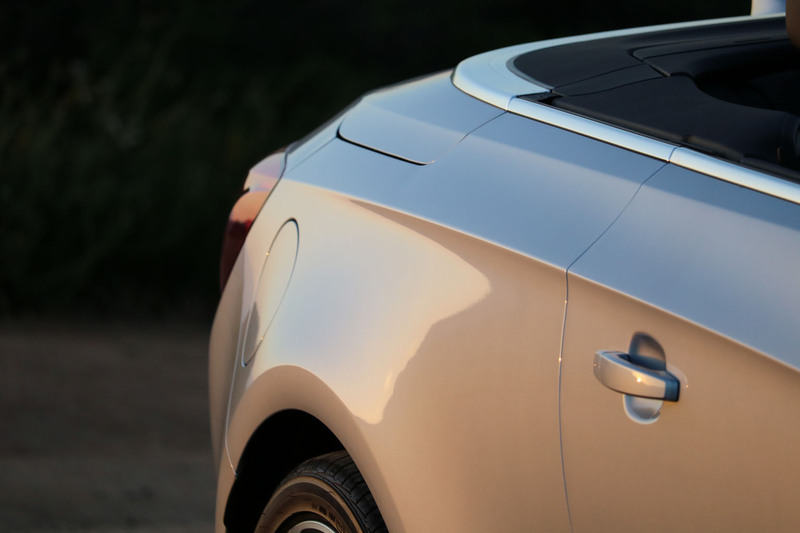 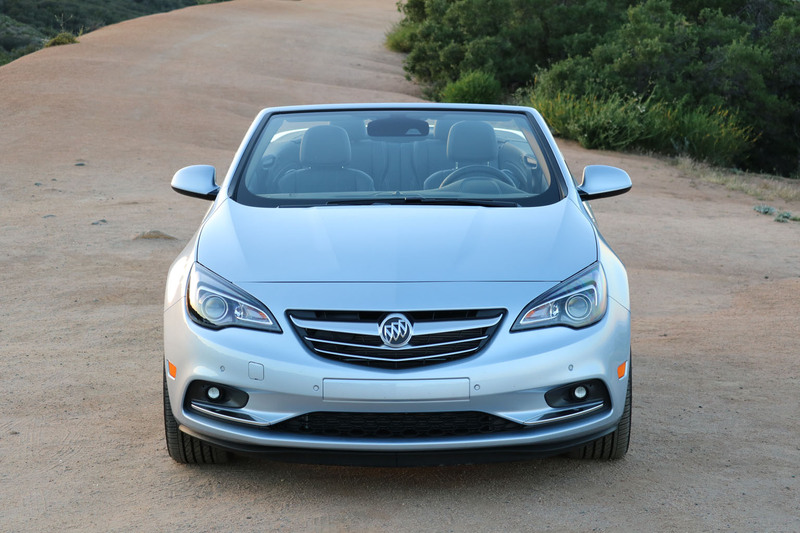 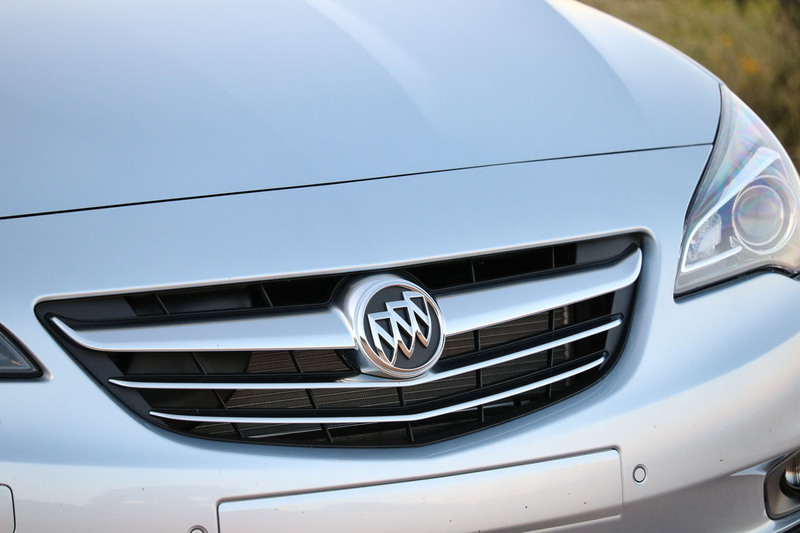 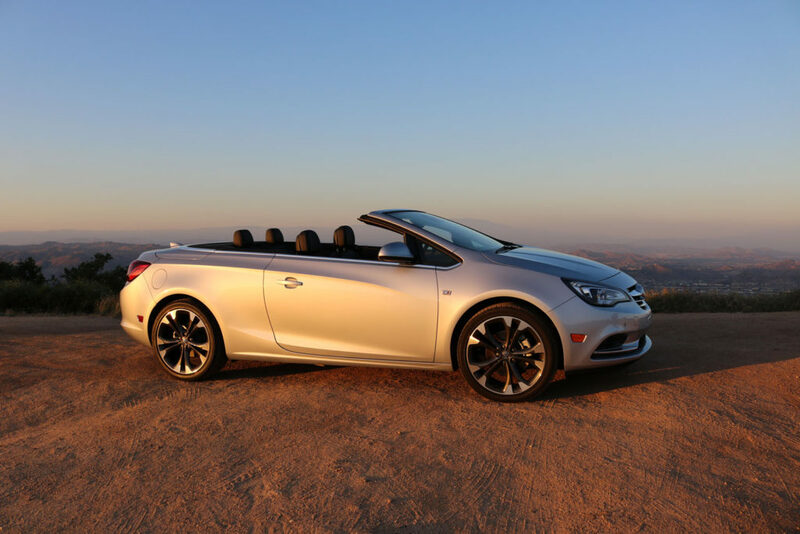 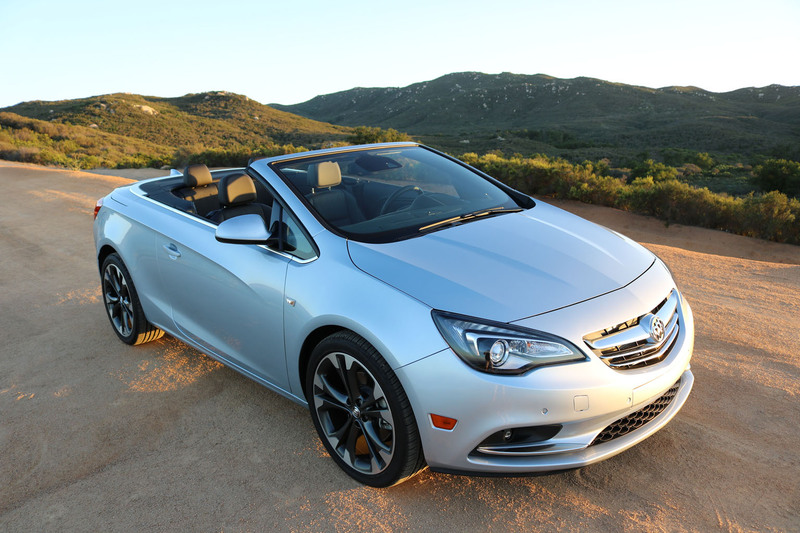 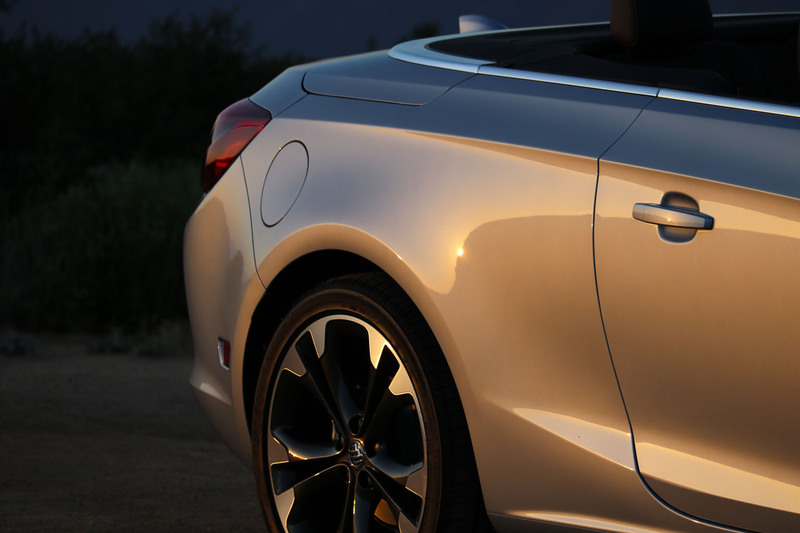 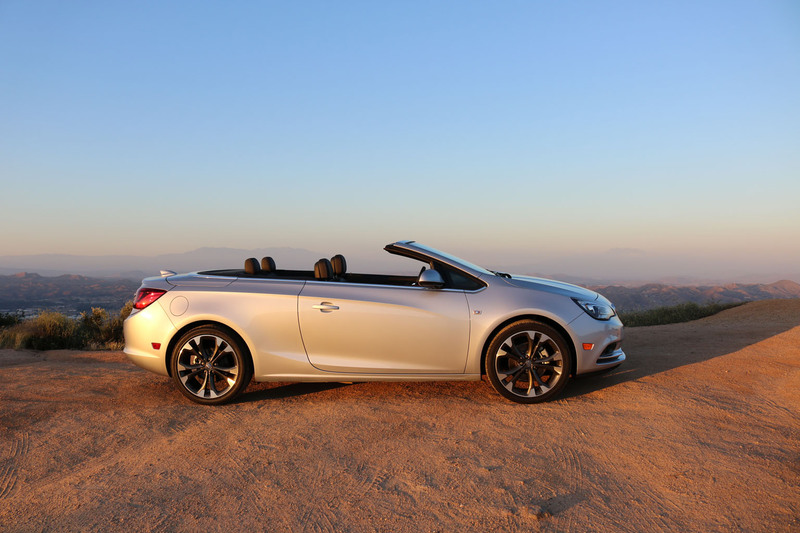 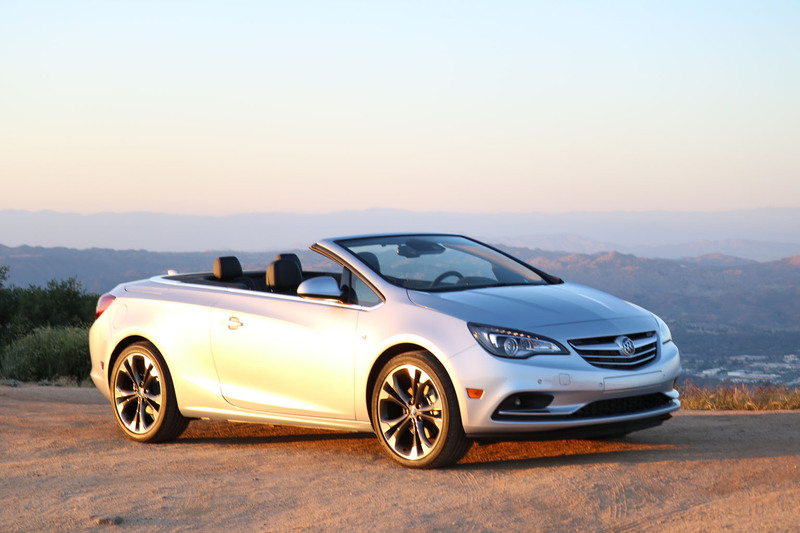 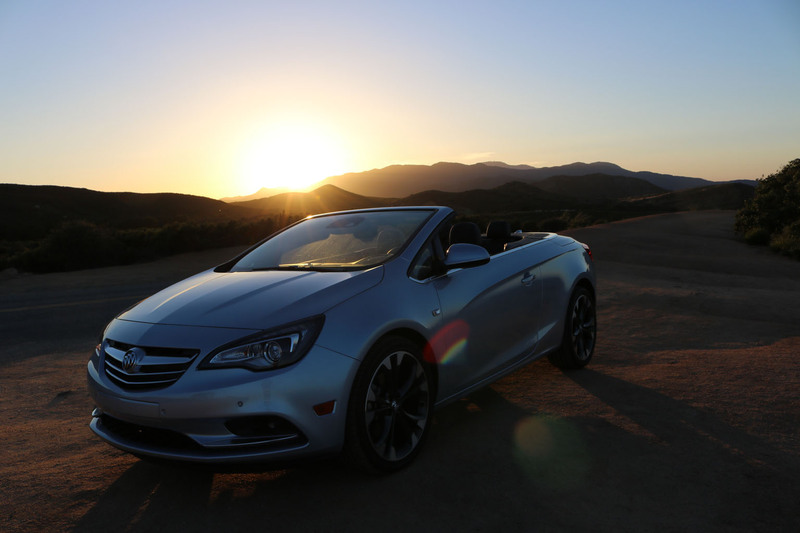 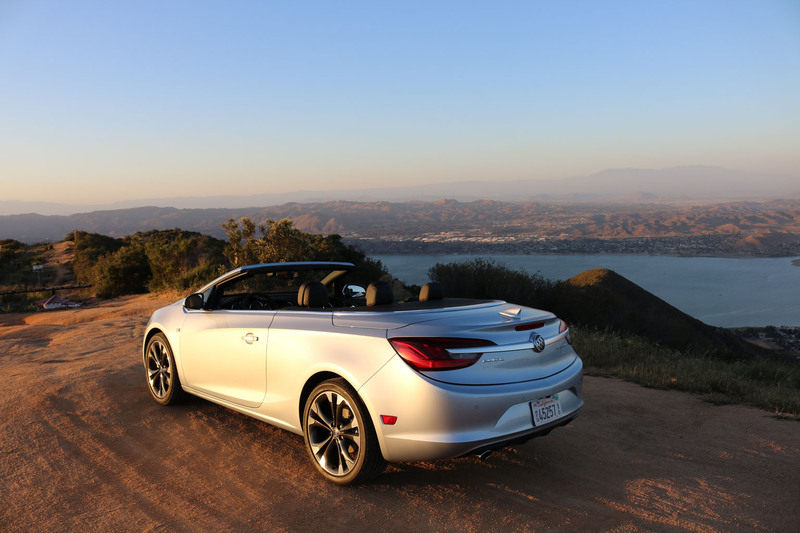 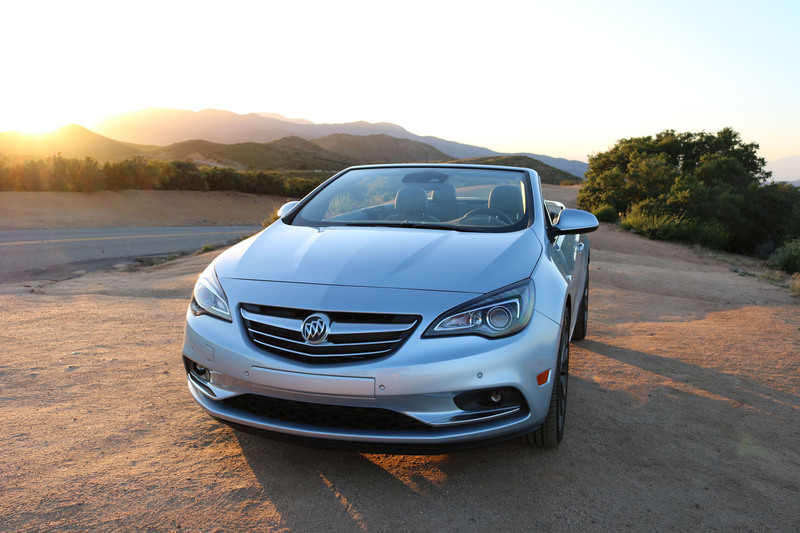 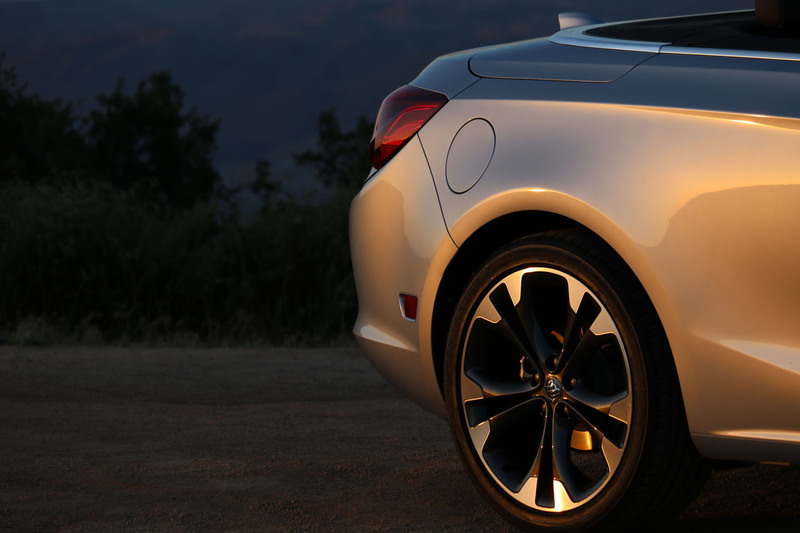 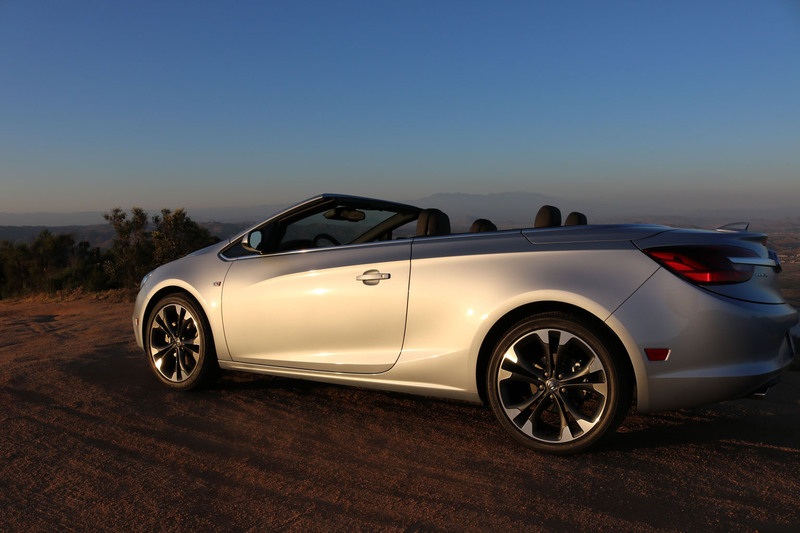 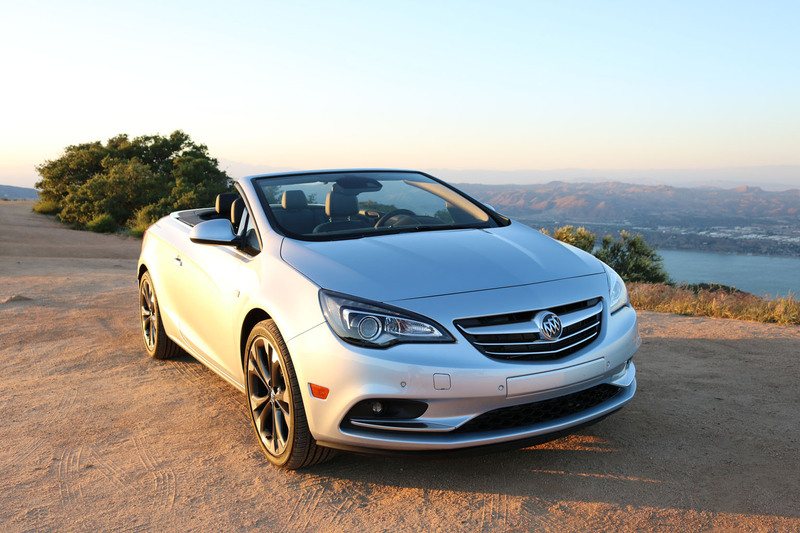 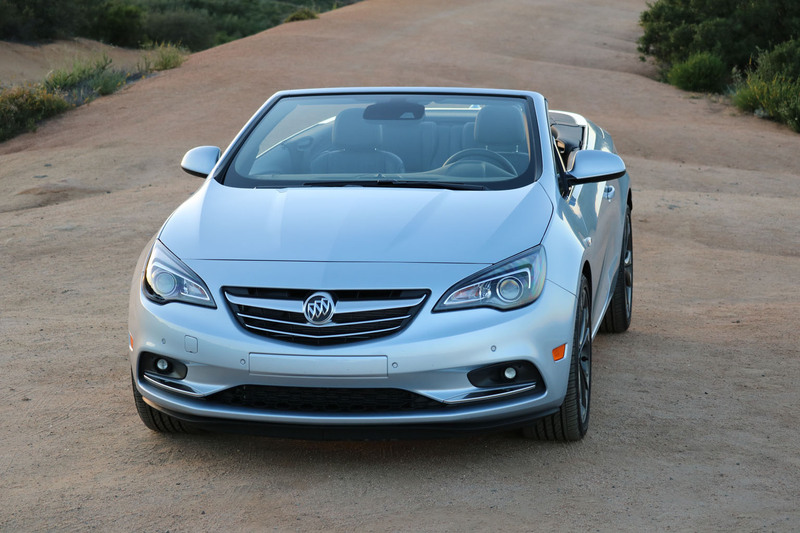 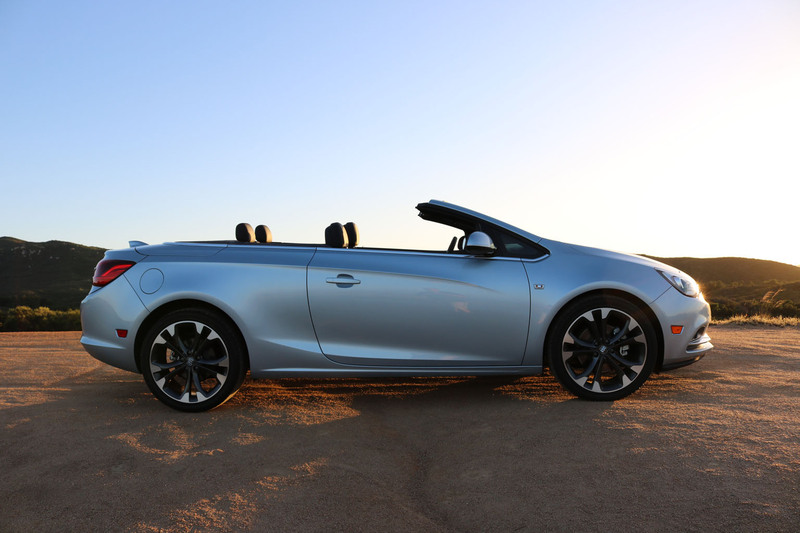 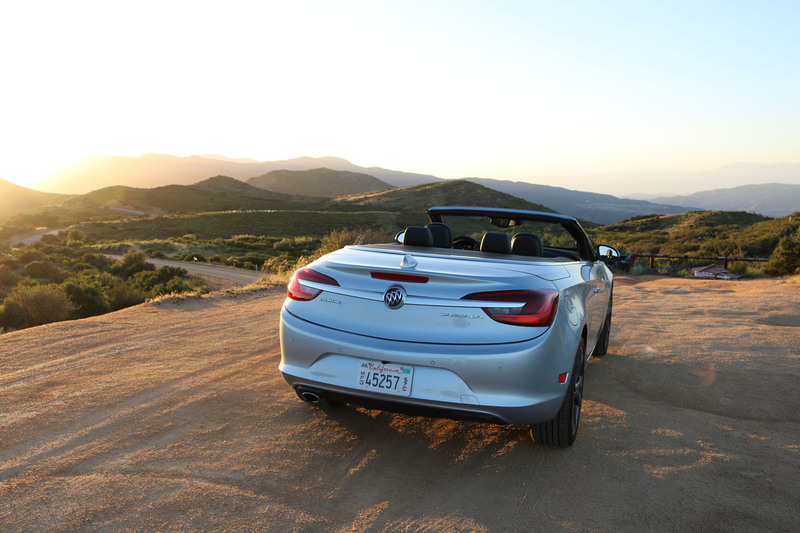 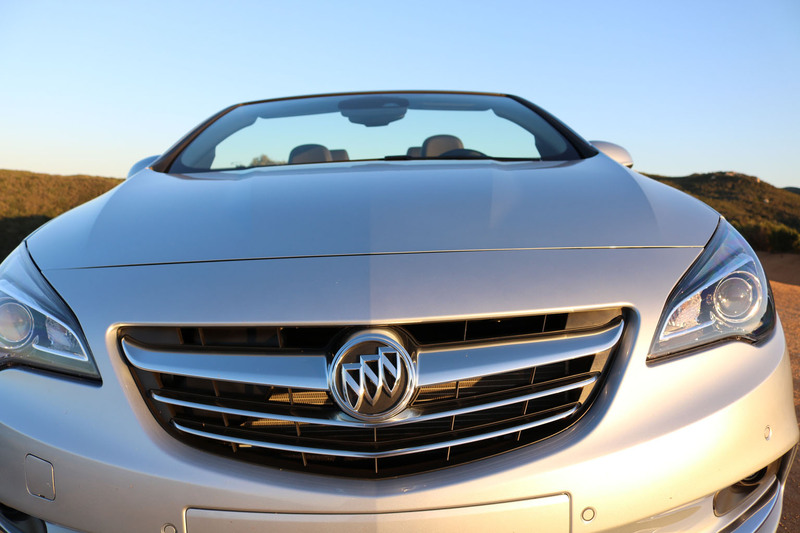 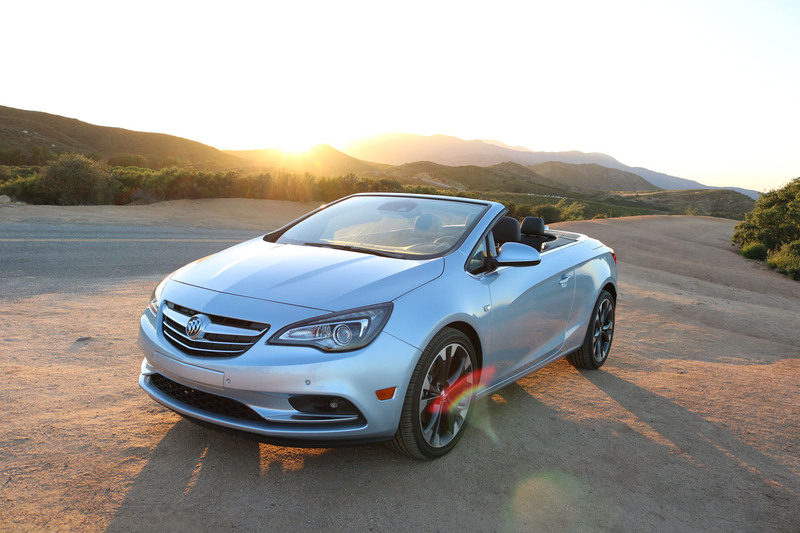 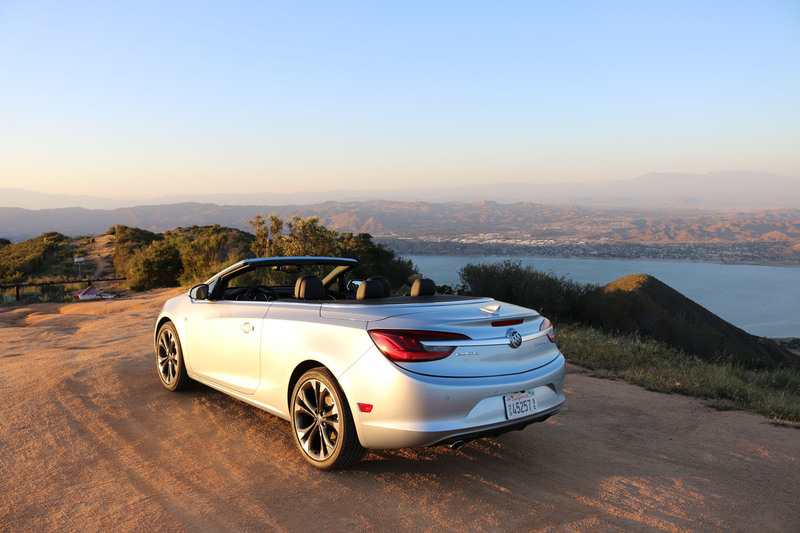 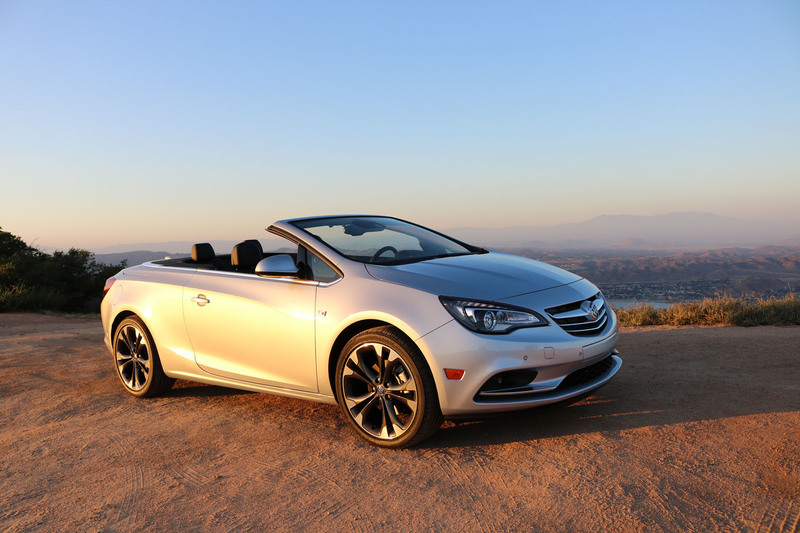 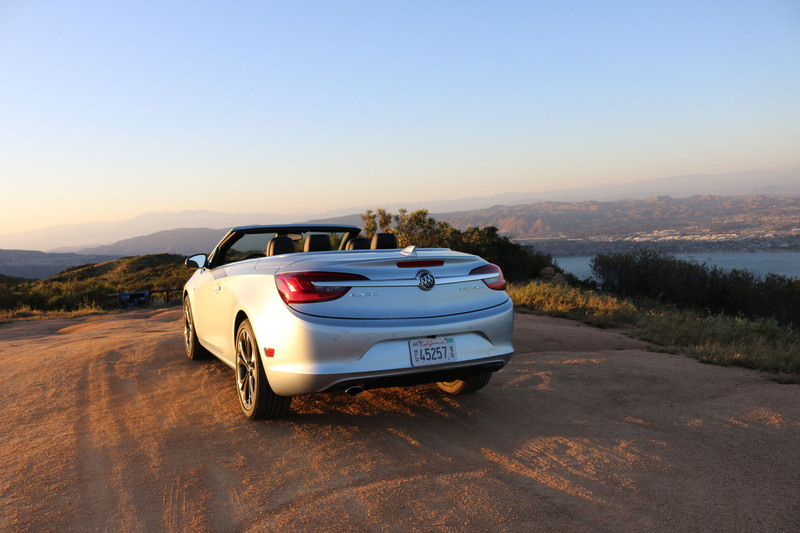 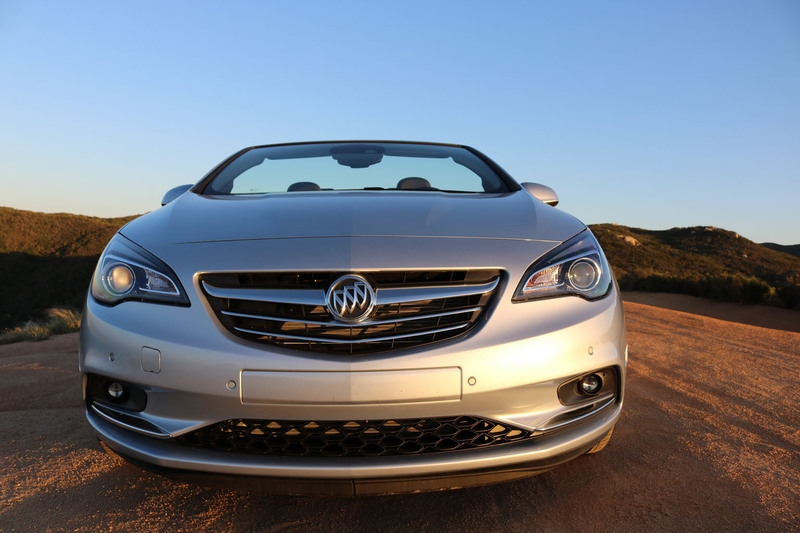 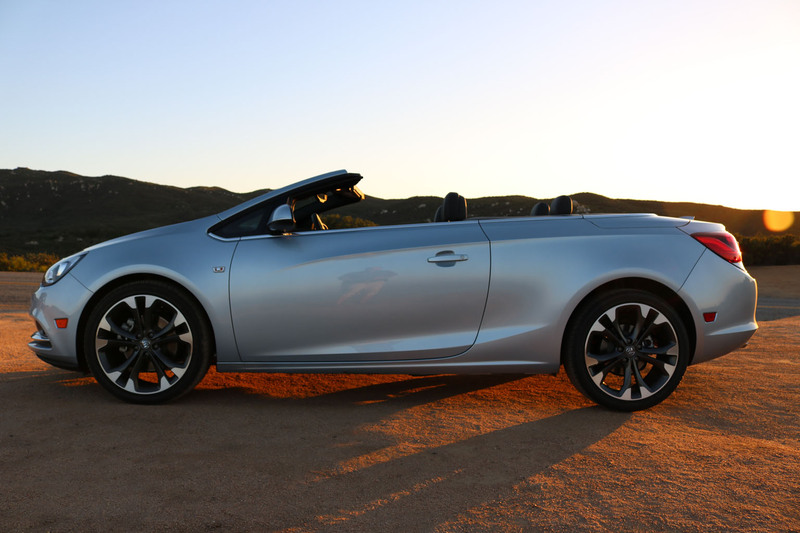 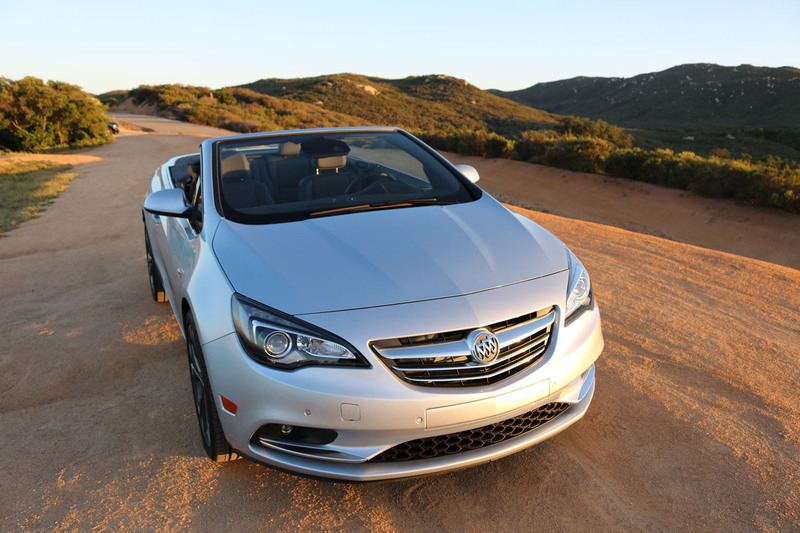 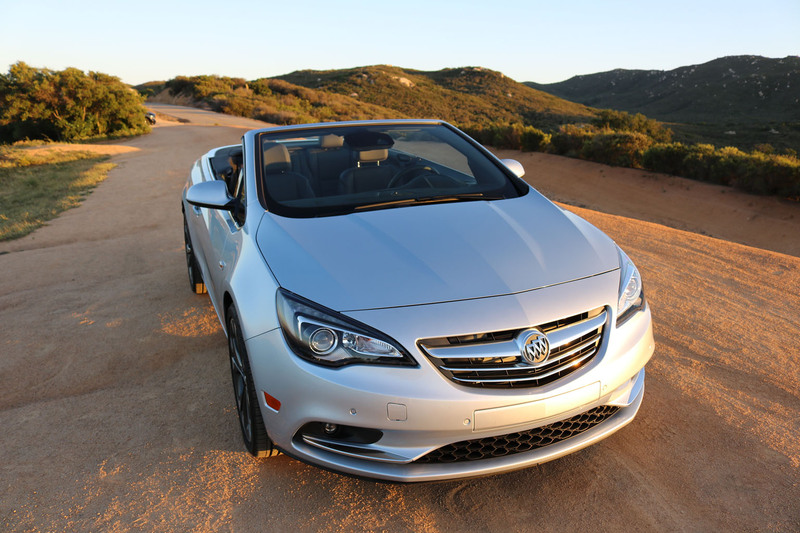 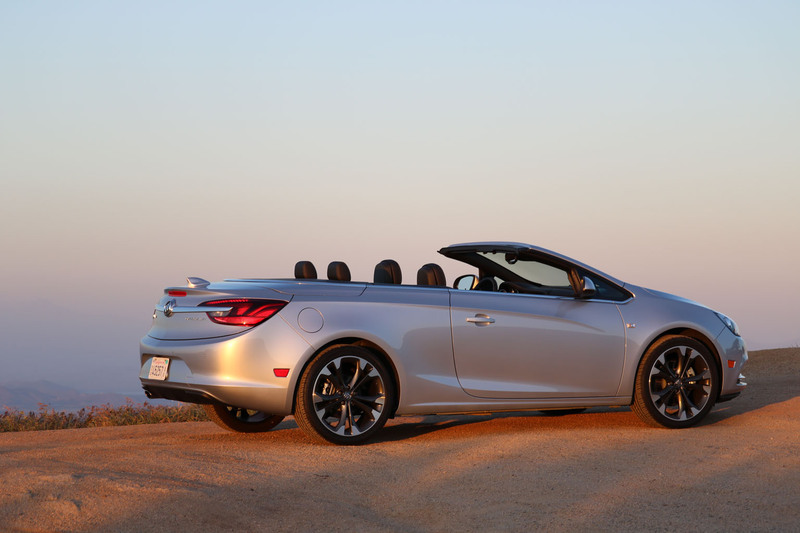 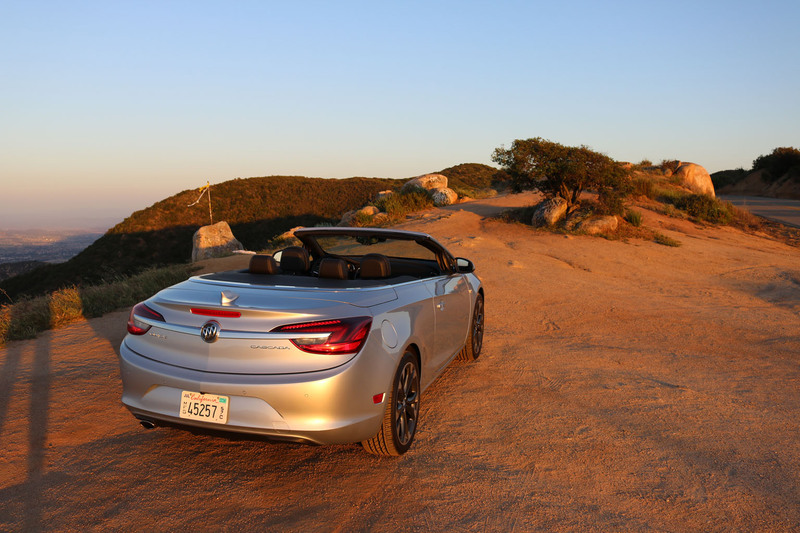 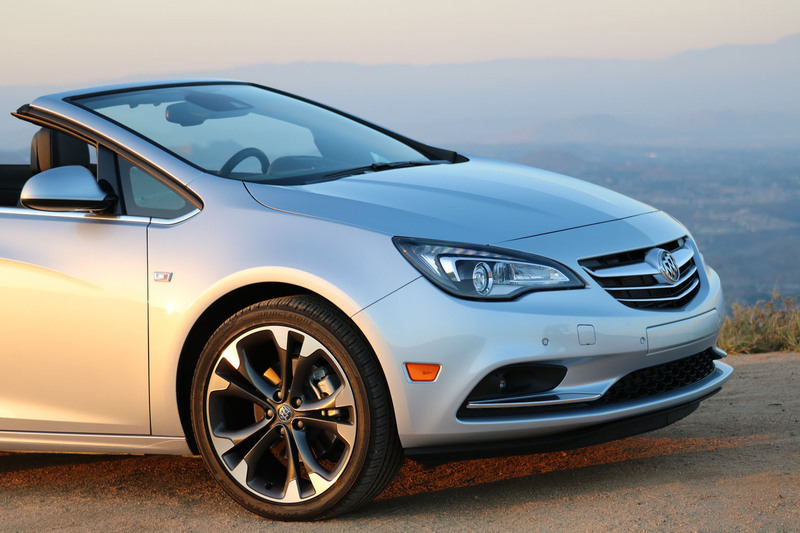 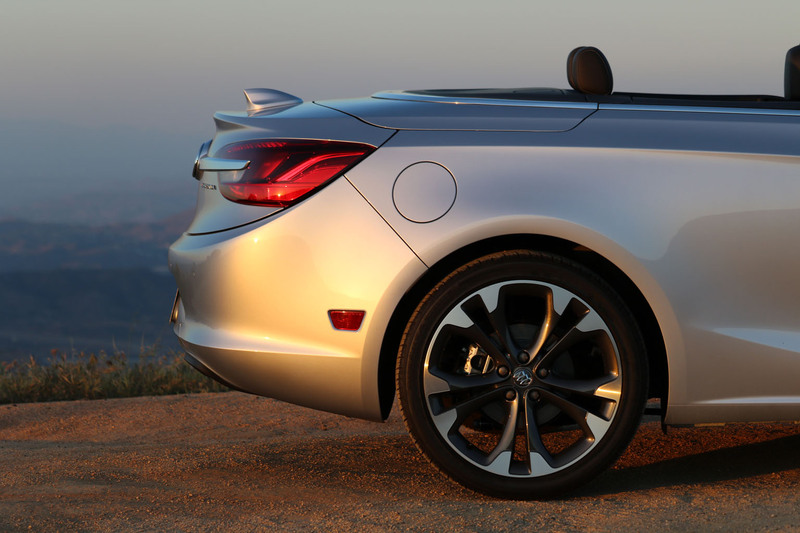 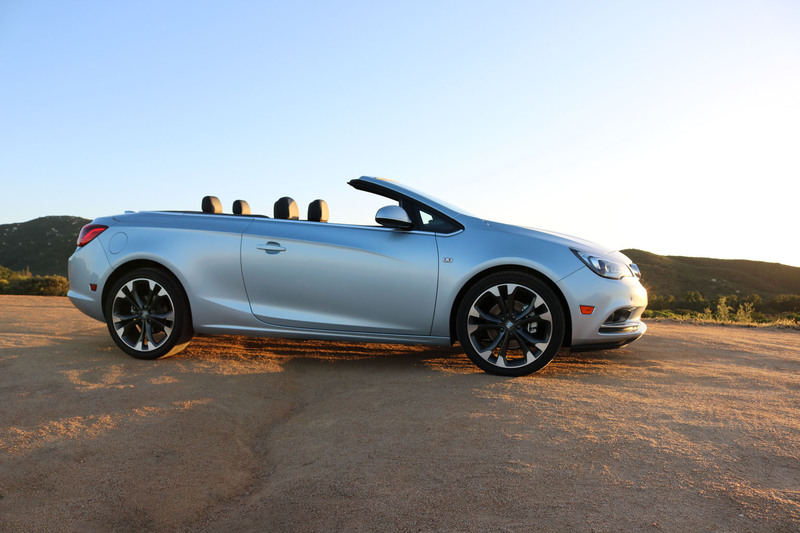 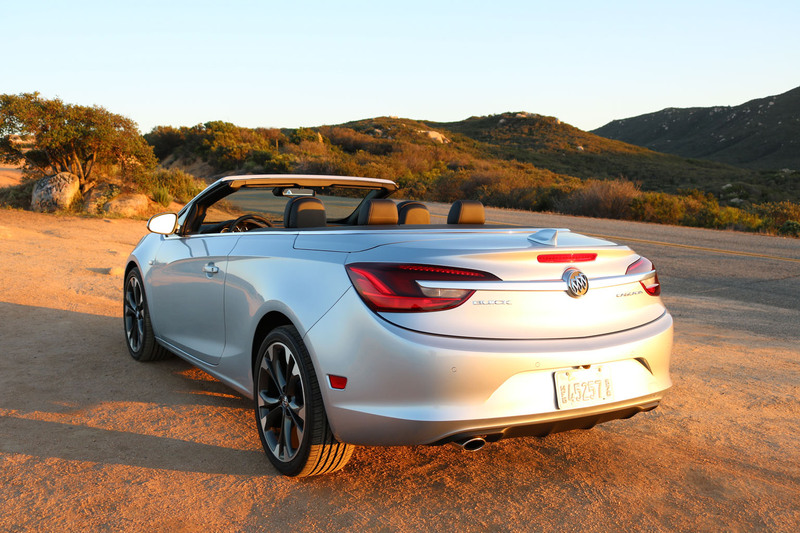 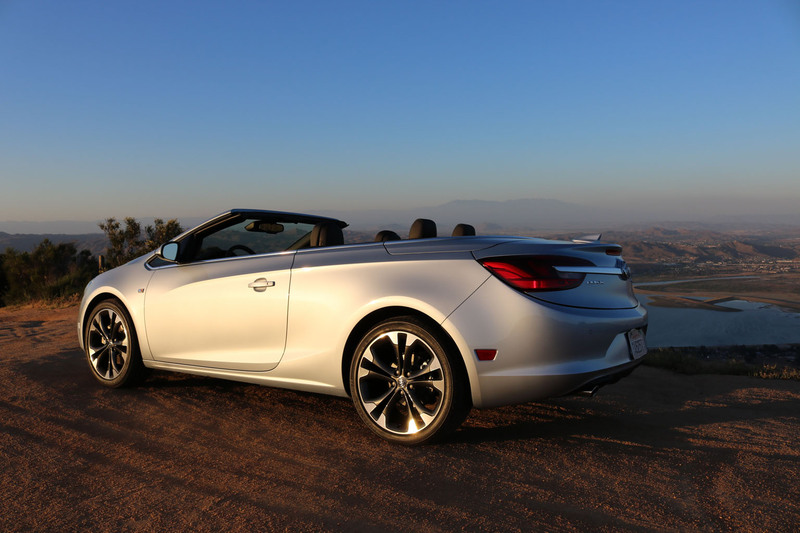 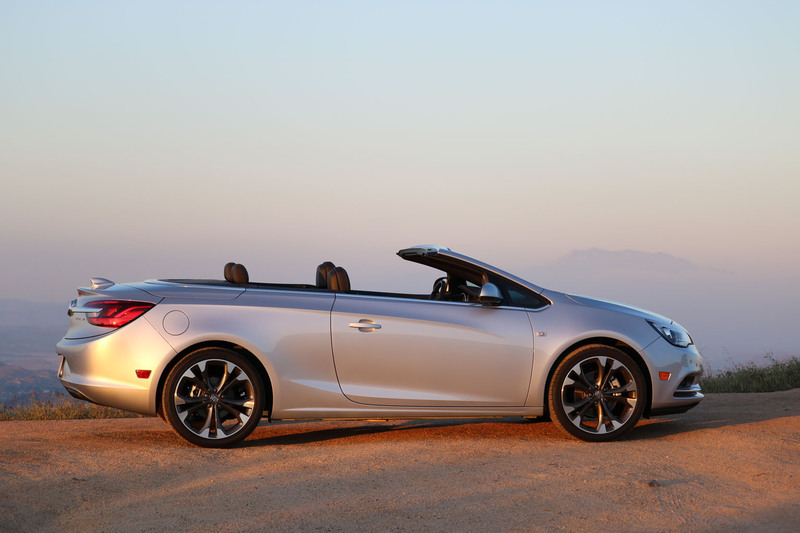 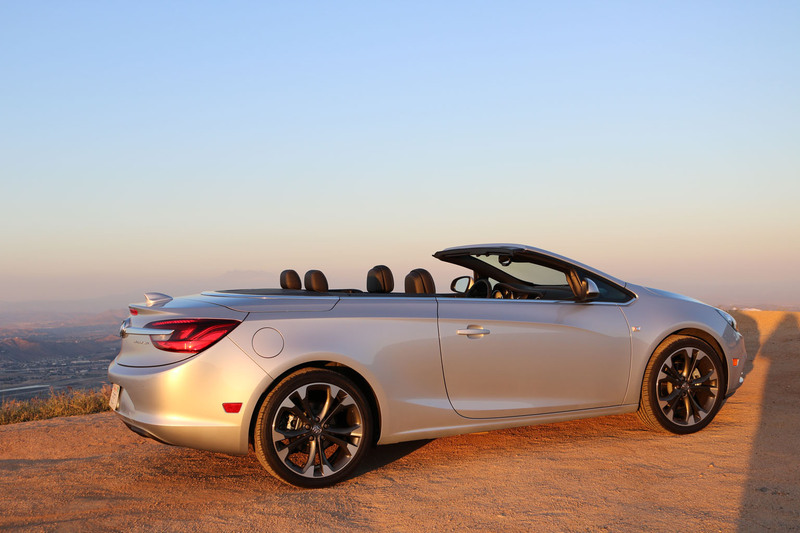 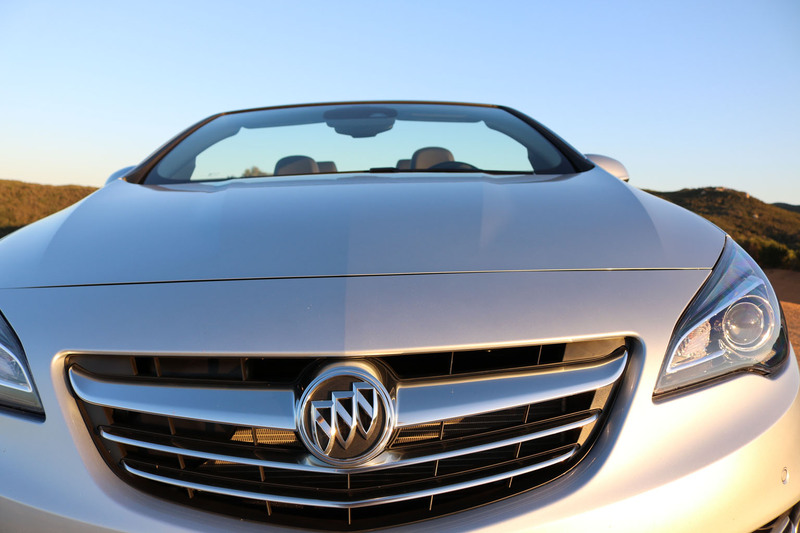 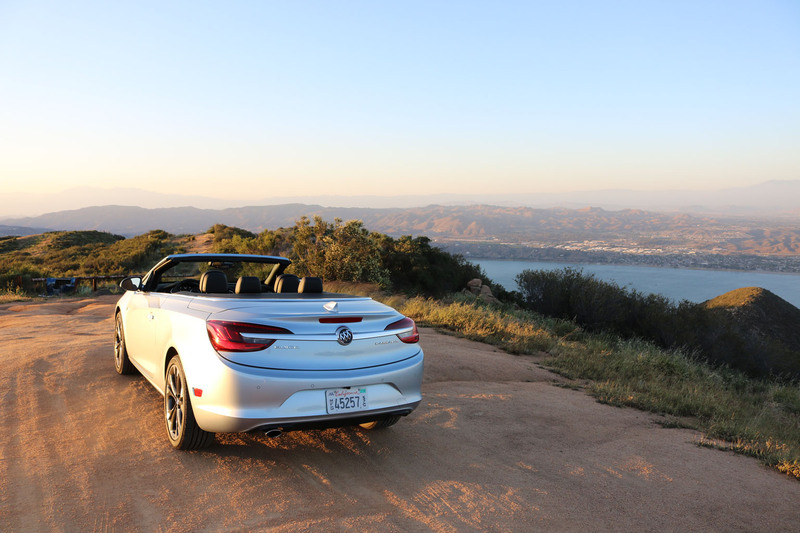 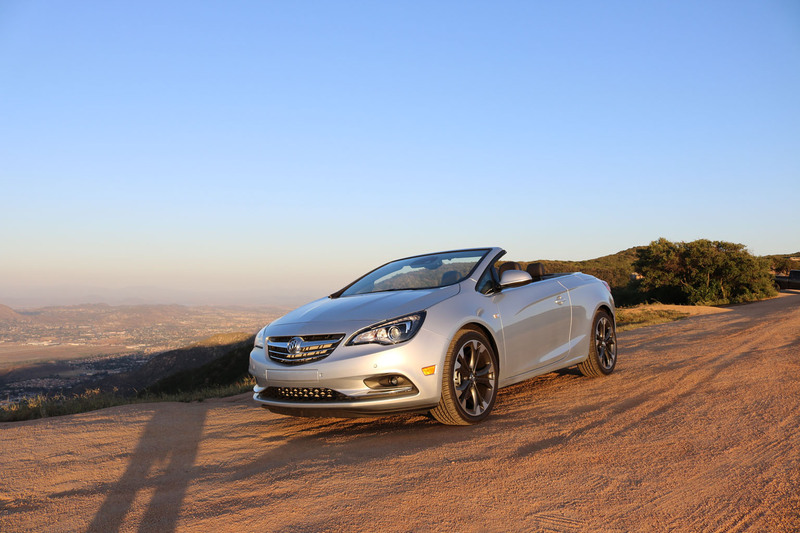 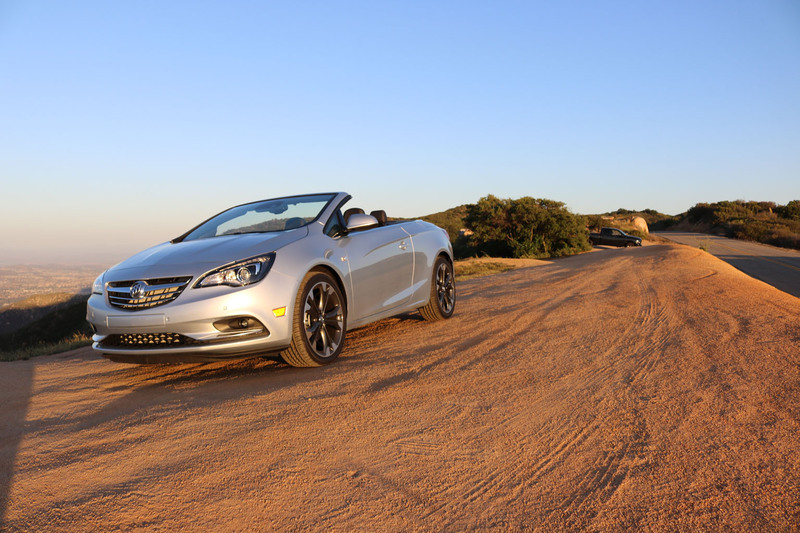 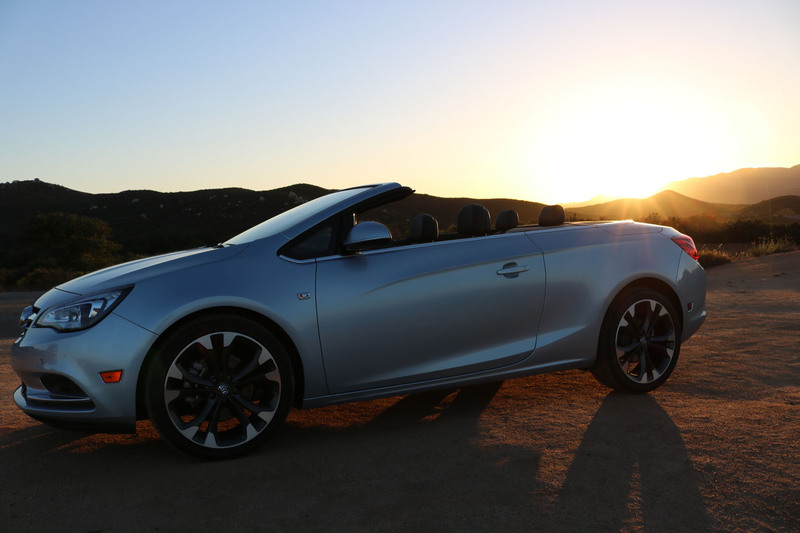 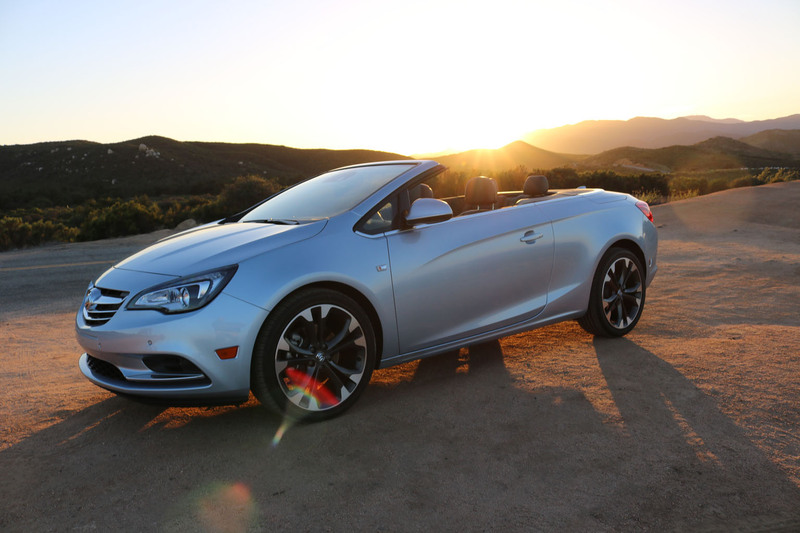 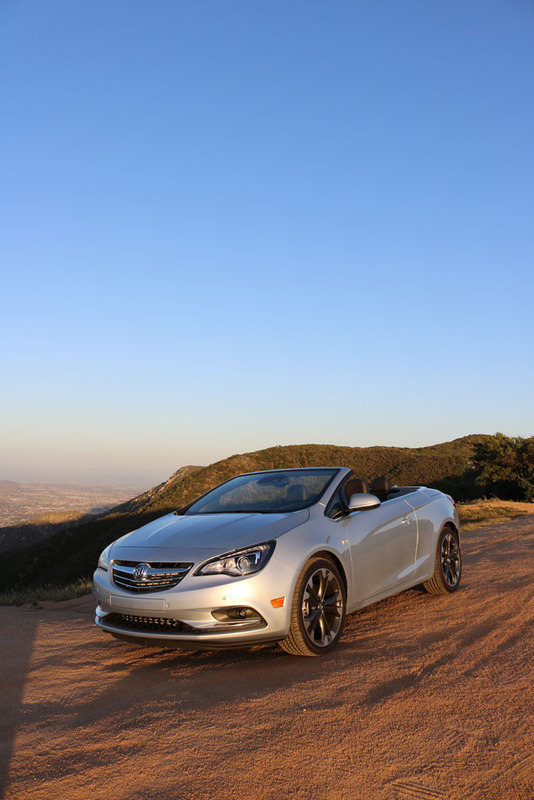 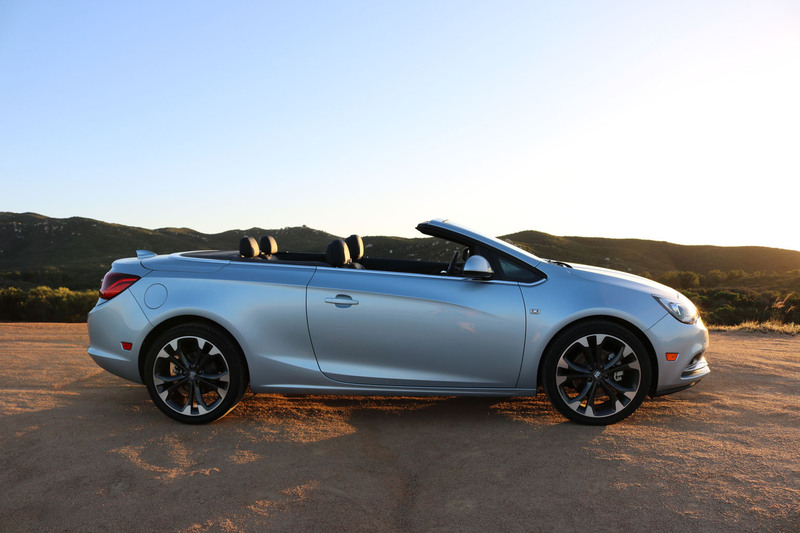 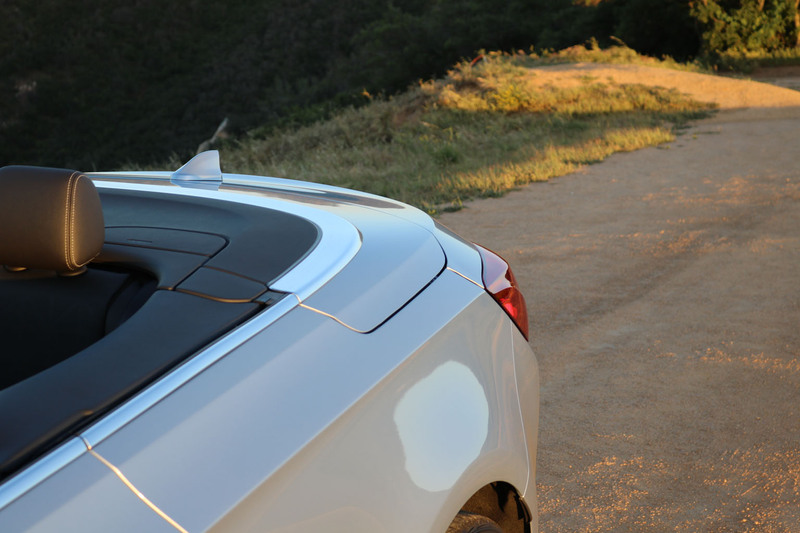 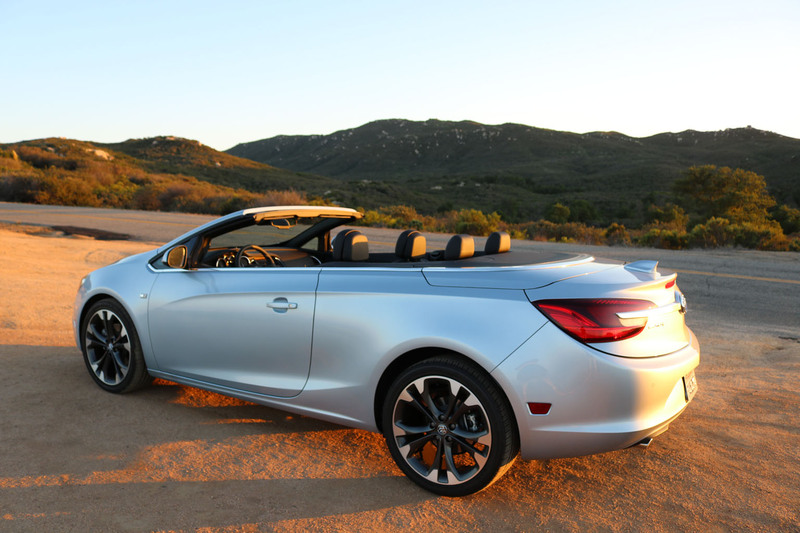 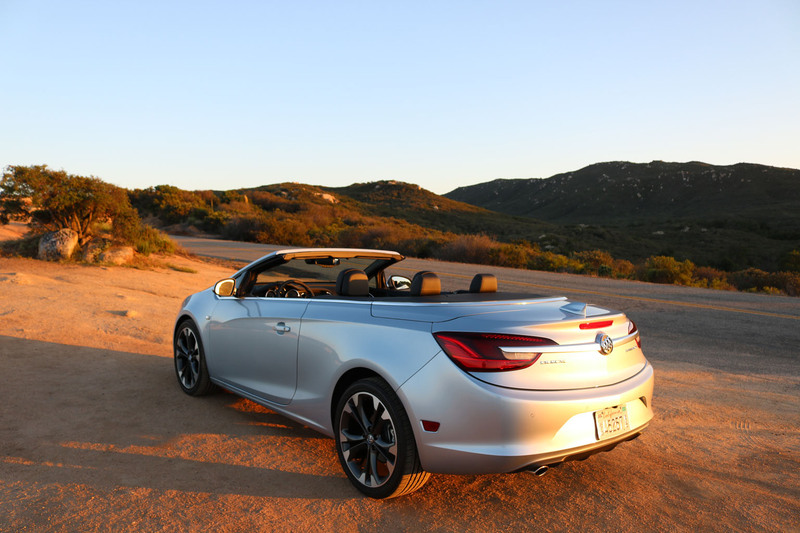 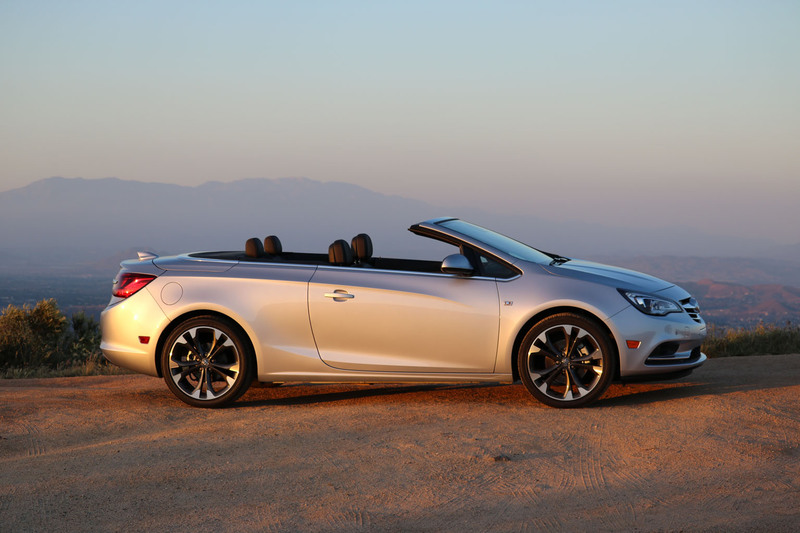 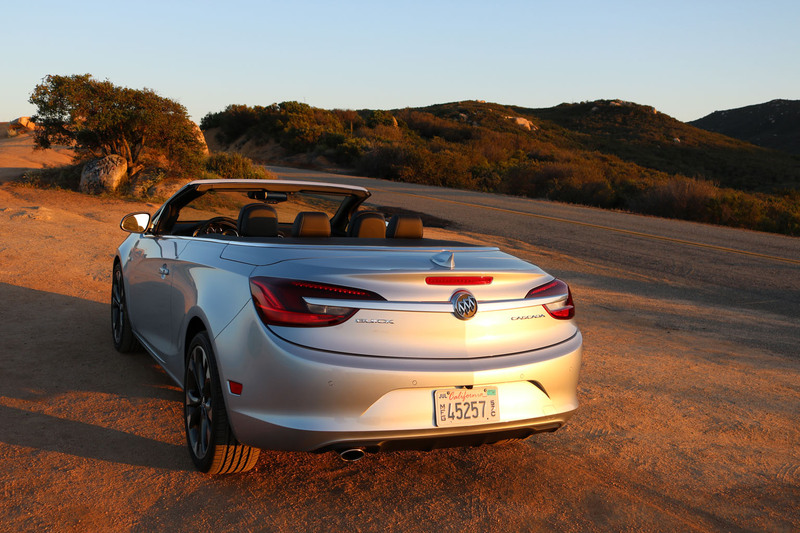 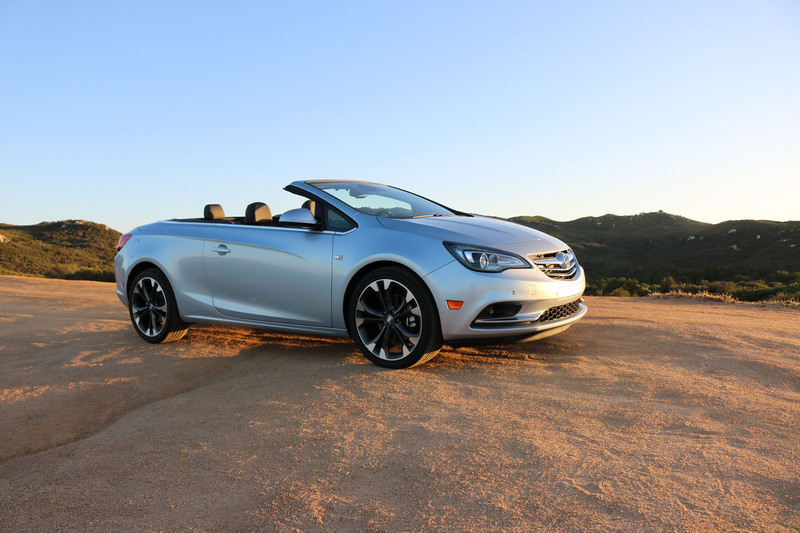 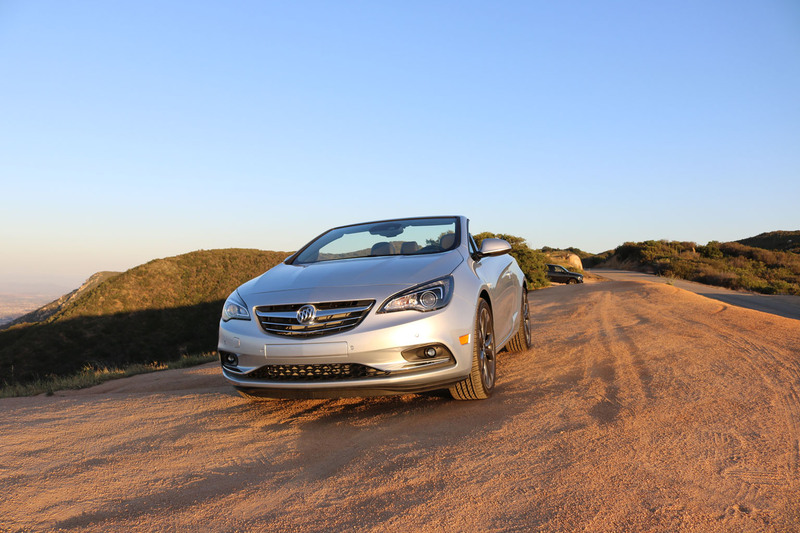 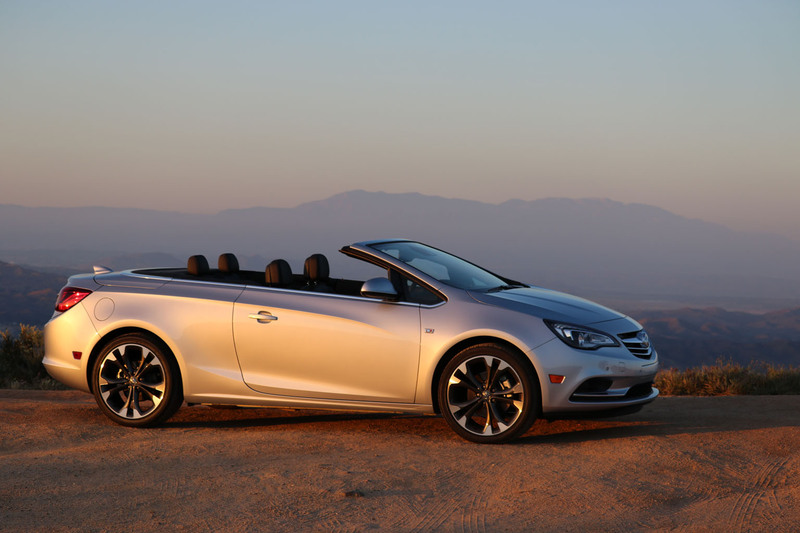 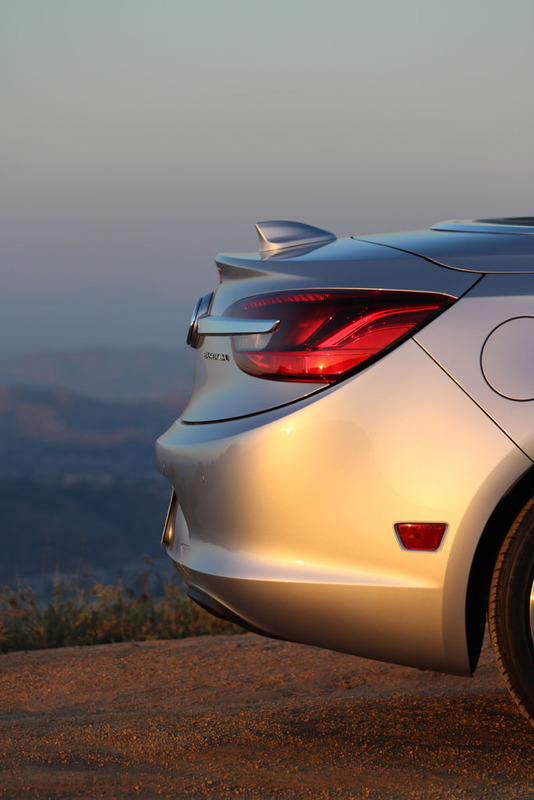 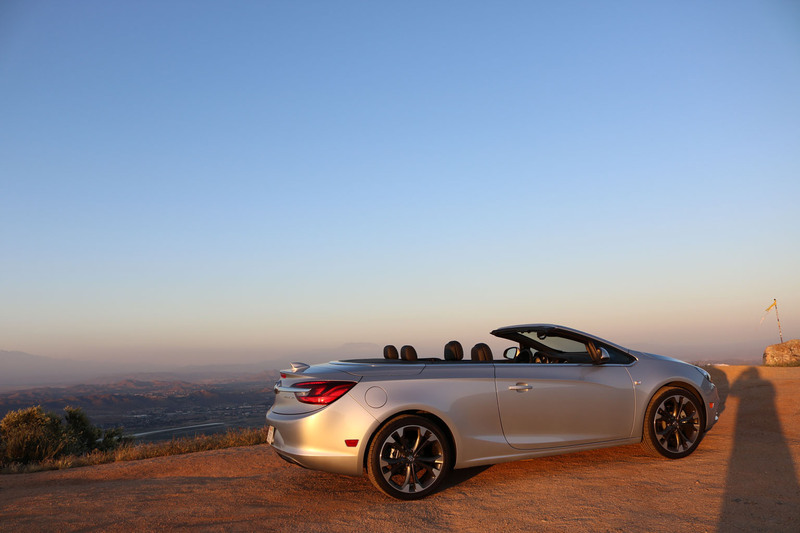 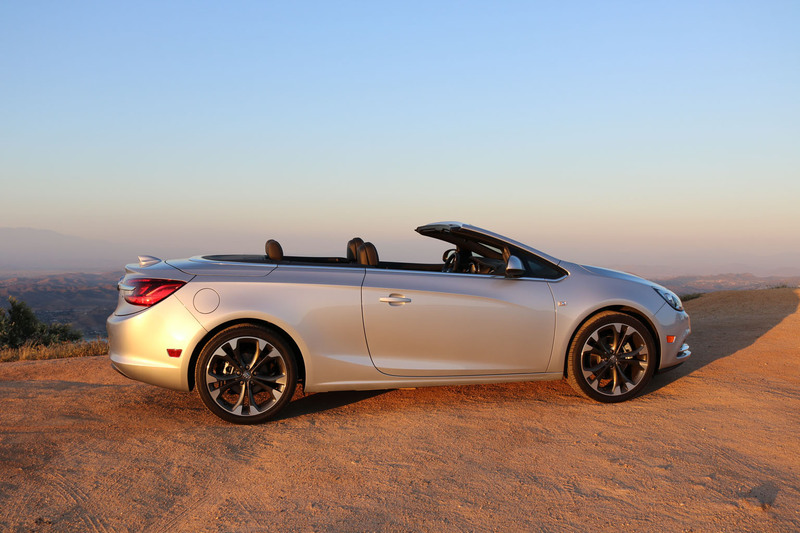 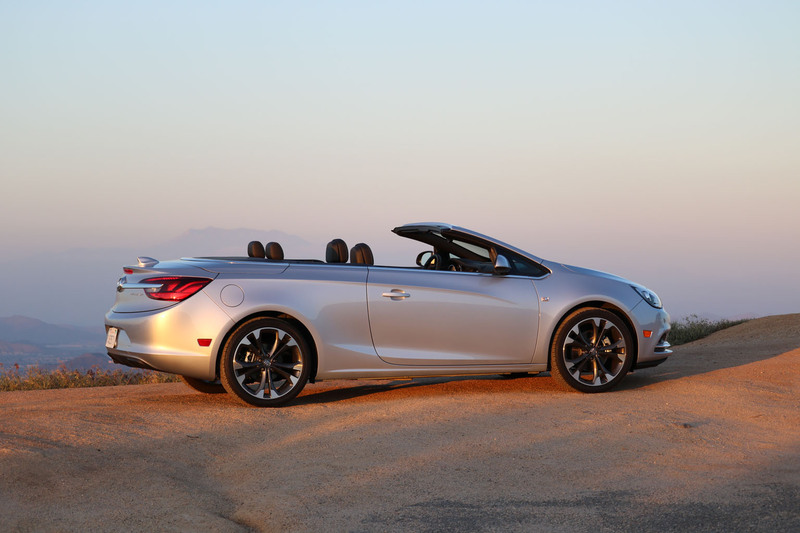 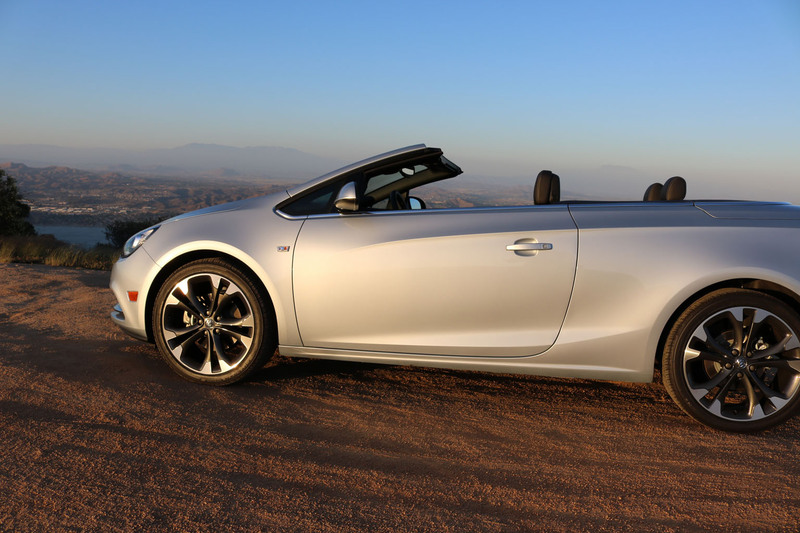 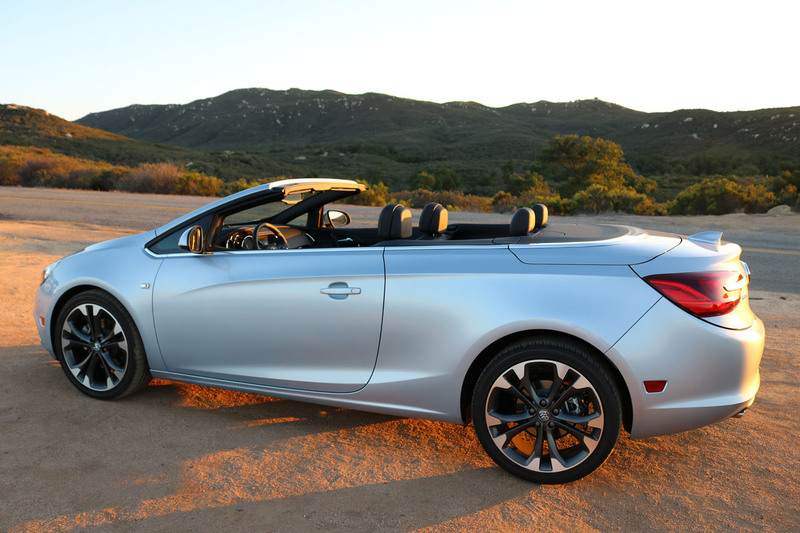 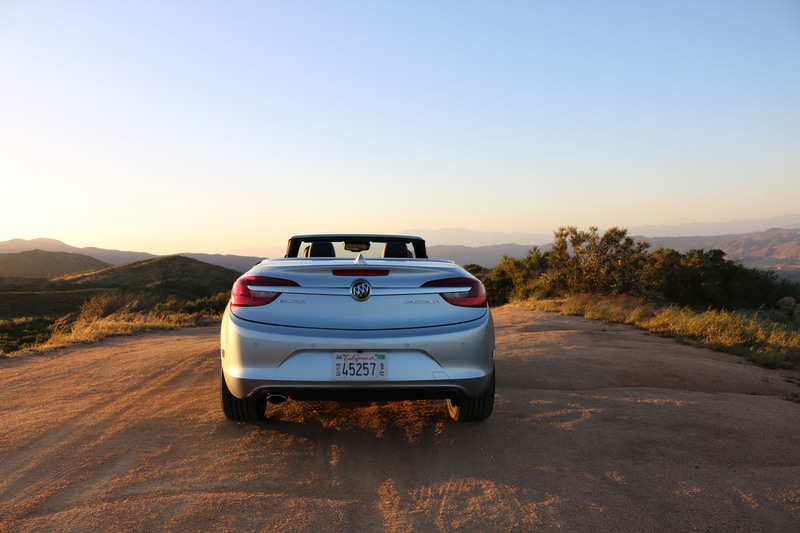 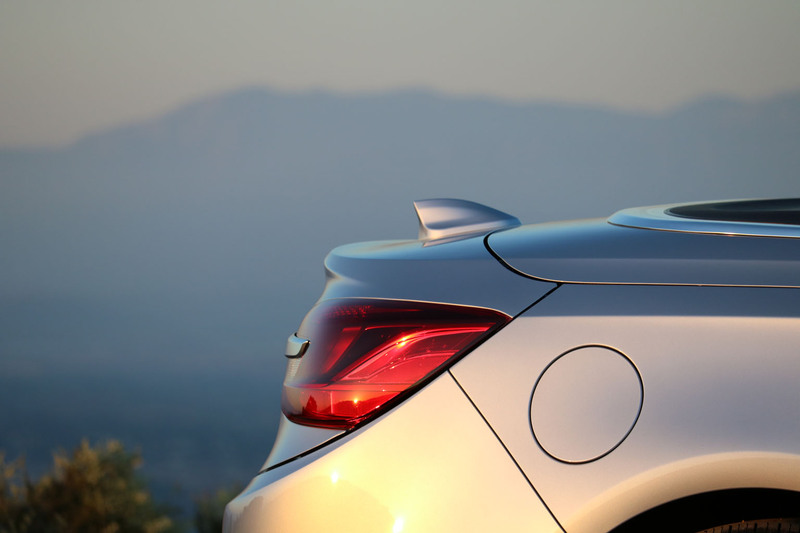 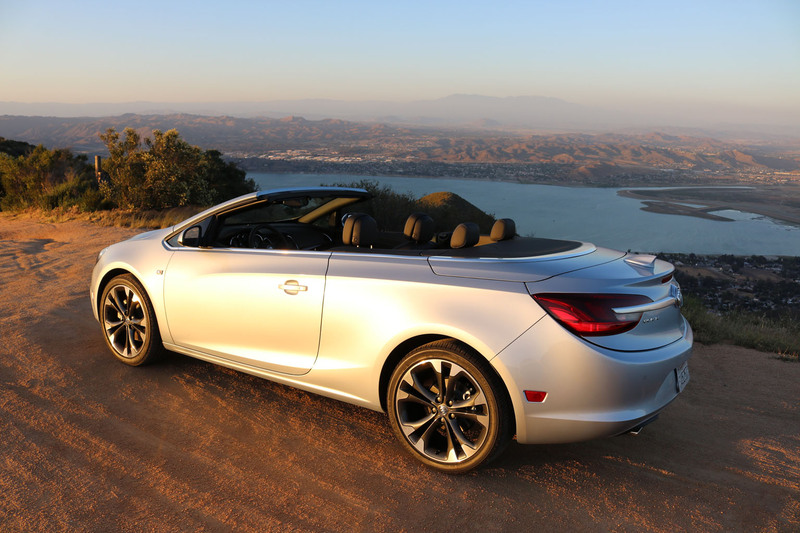 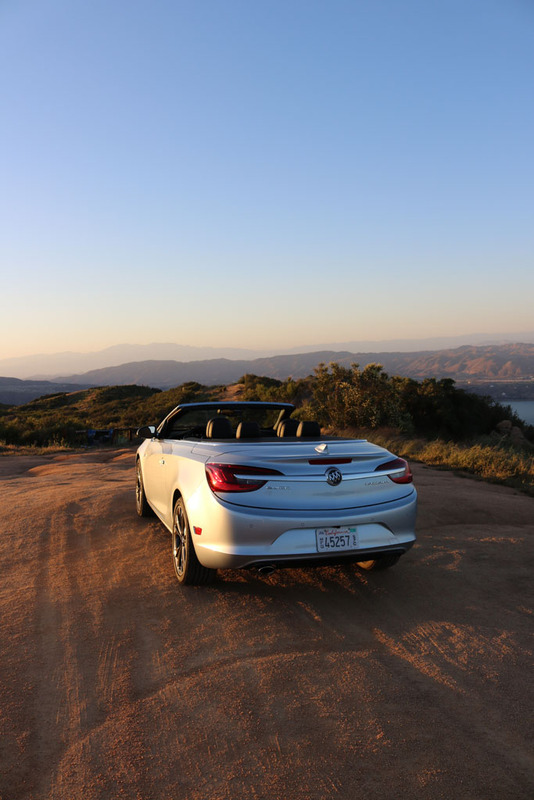 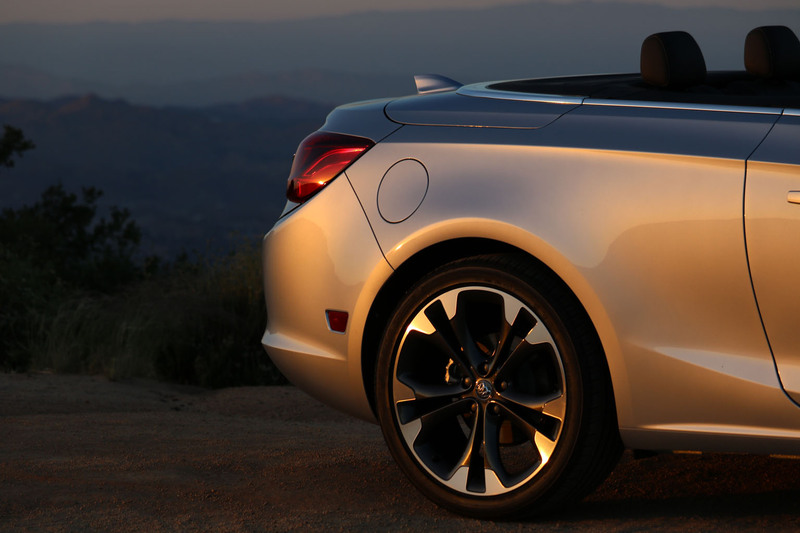 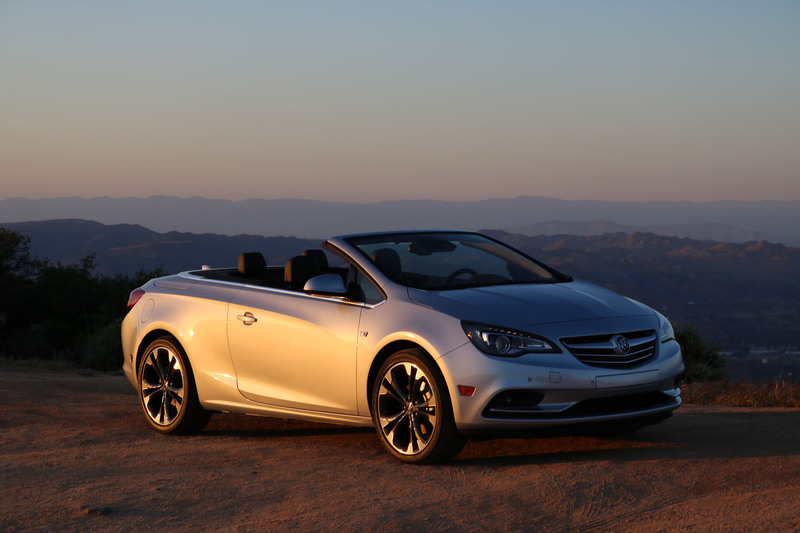 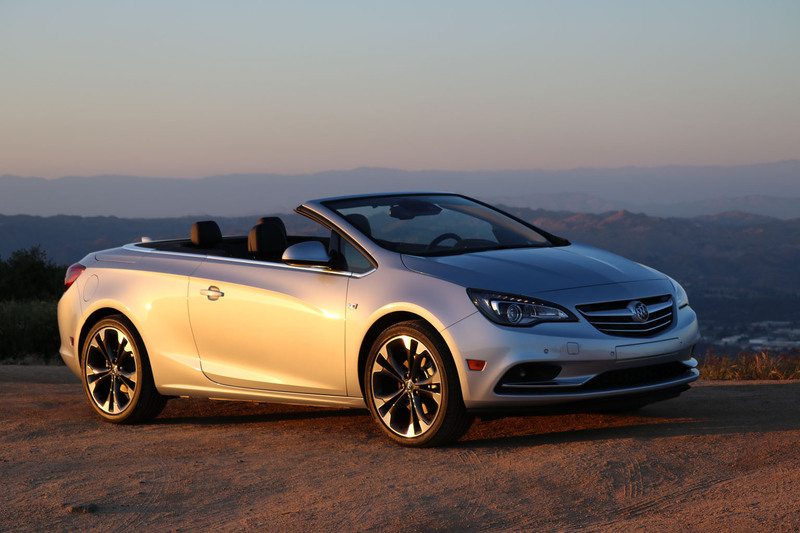 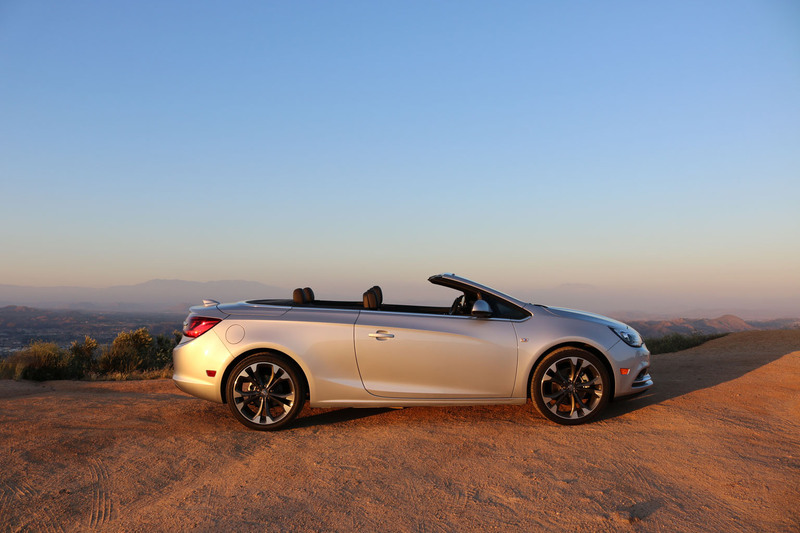 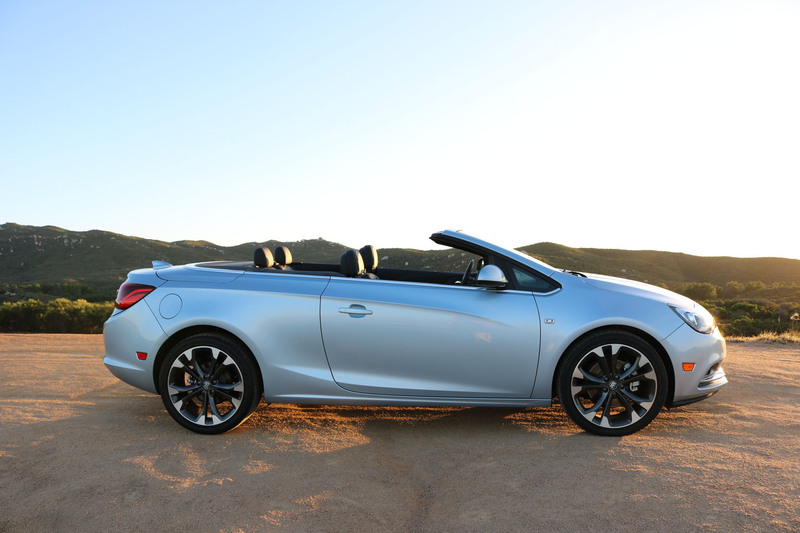 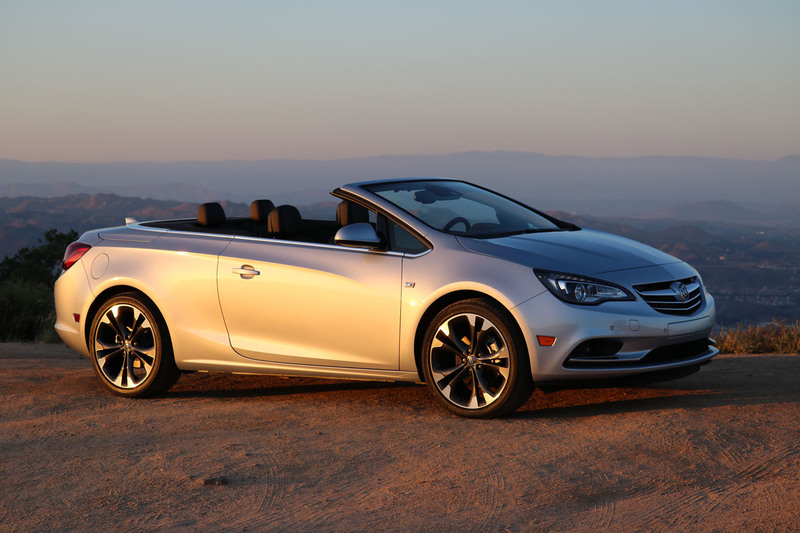 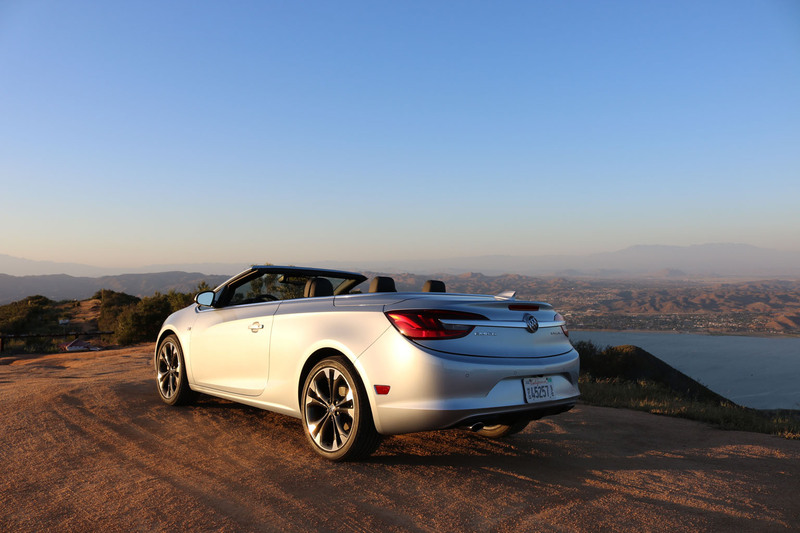 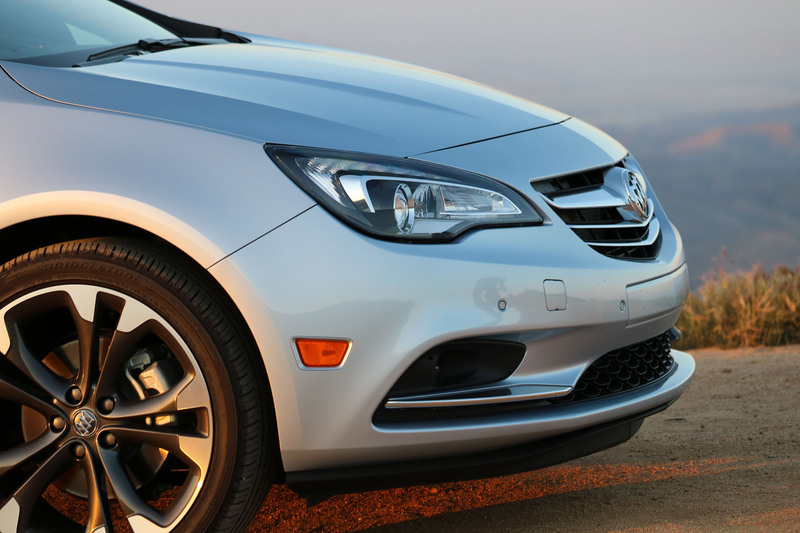 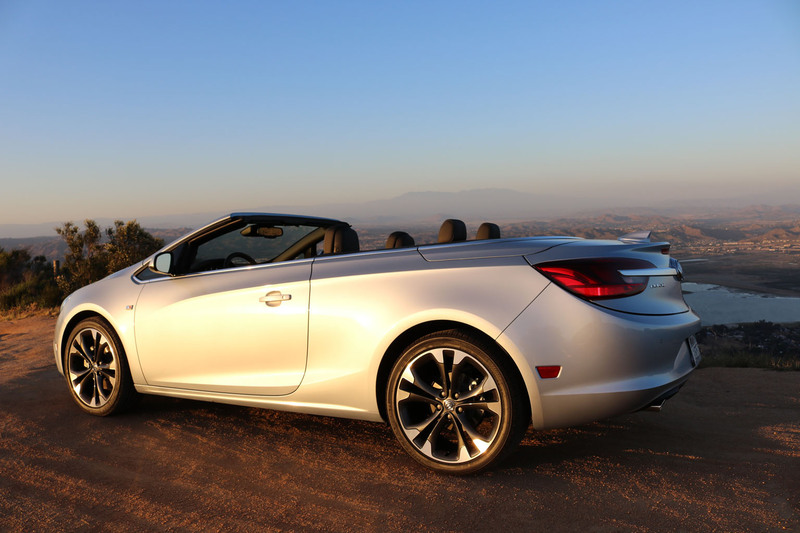 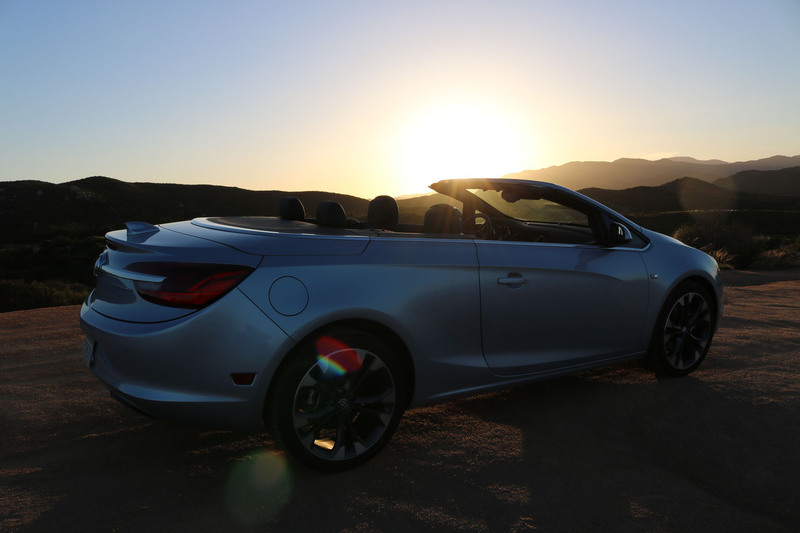 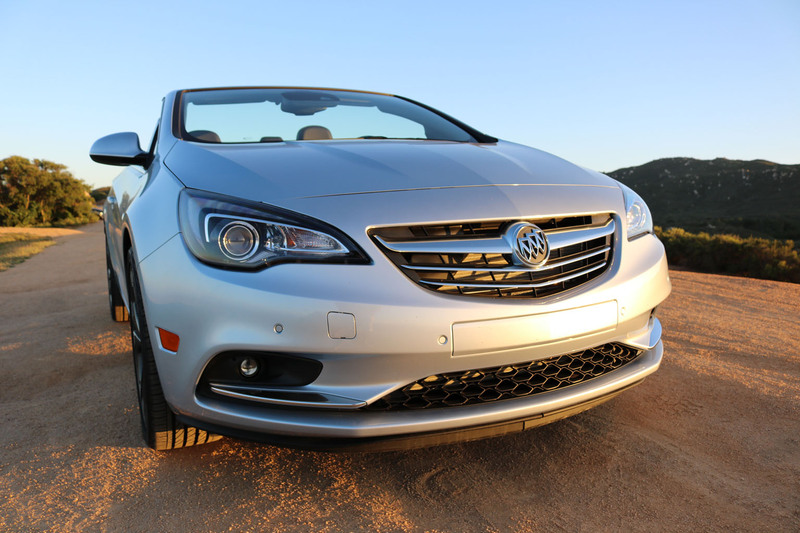 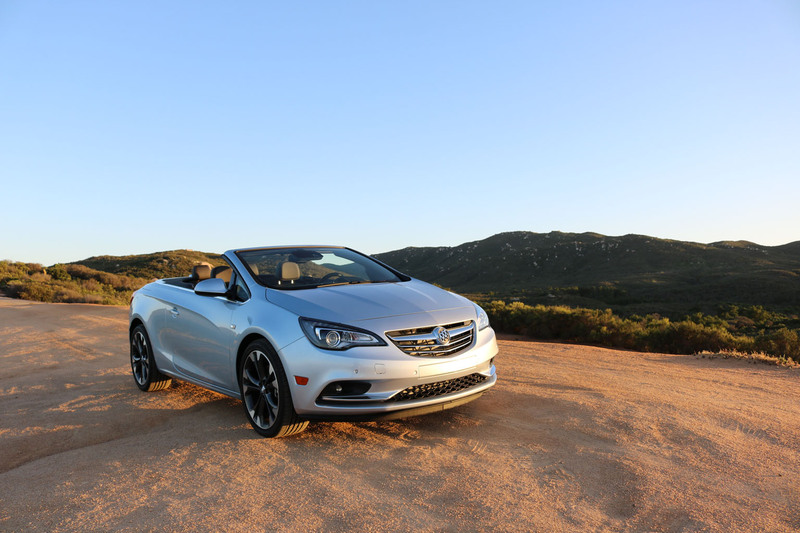 This Buick Cascada would THE car for me to replace my aging Chrysler with. 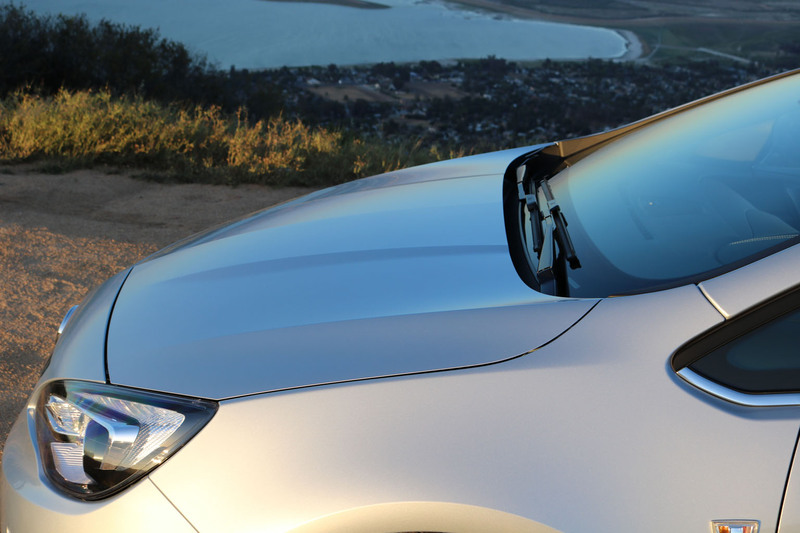 If you look at the gallery below you can see for yourself what is it that convinces me. 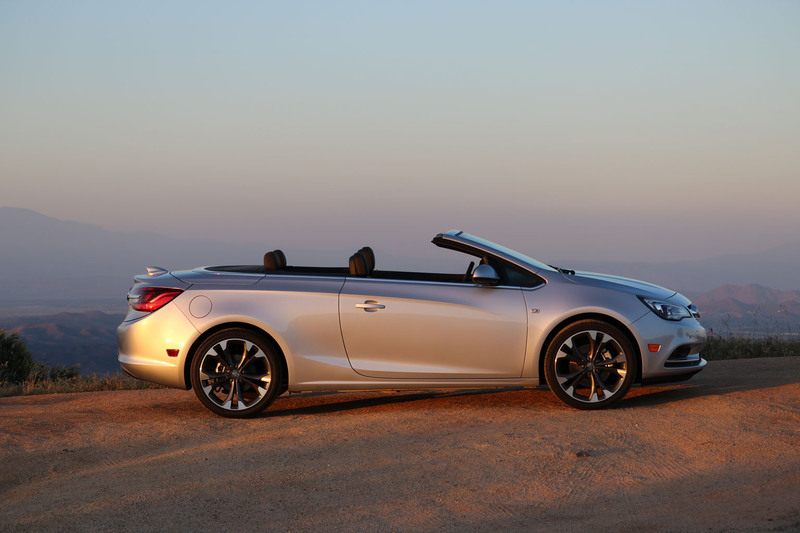 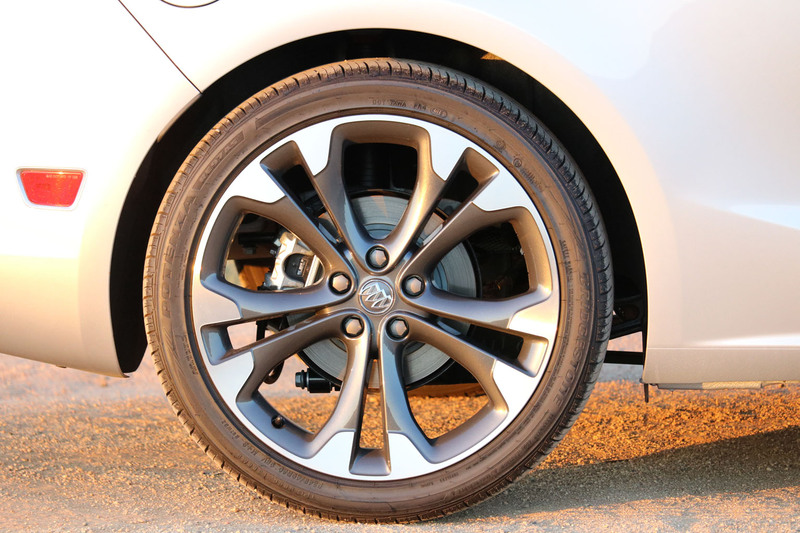 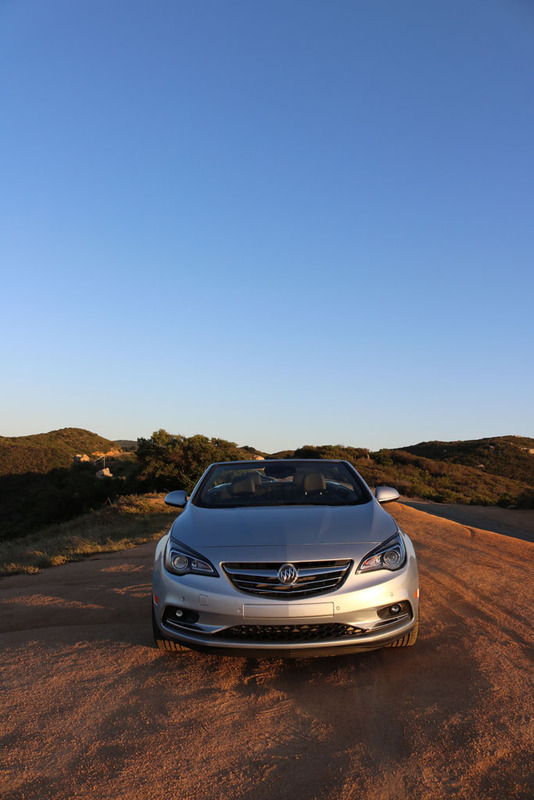 The looks of course, the flexible interior options, and on top of that the sheer fun you have while driving it. 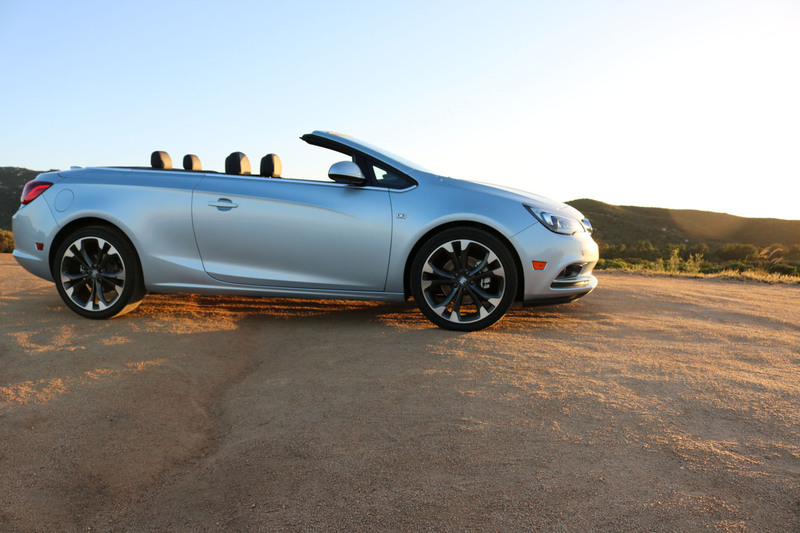 It sticks to the road, not in a race car manner, but enough to give you a very confidence inspiring and fun experience. 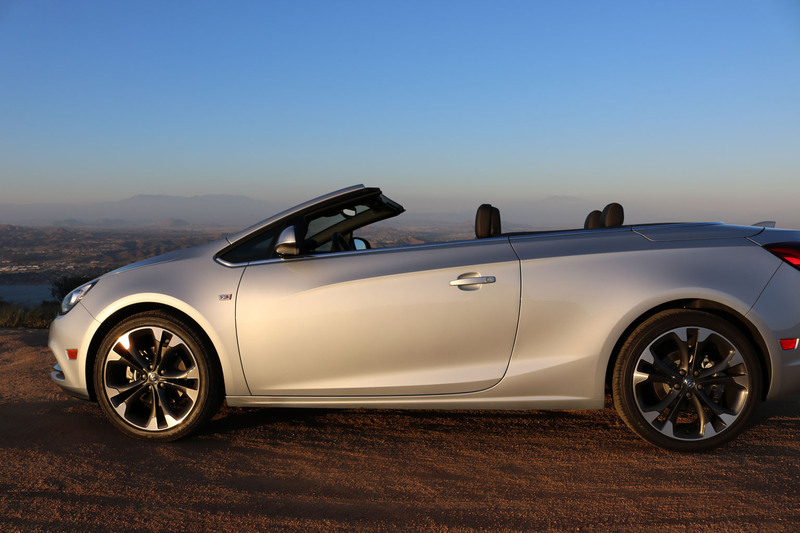 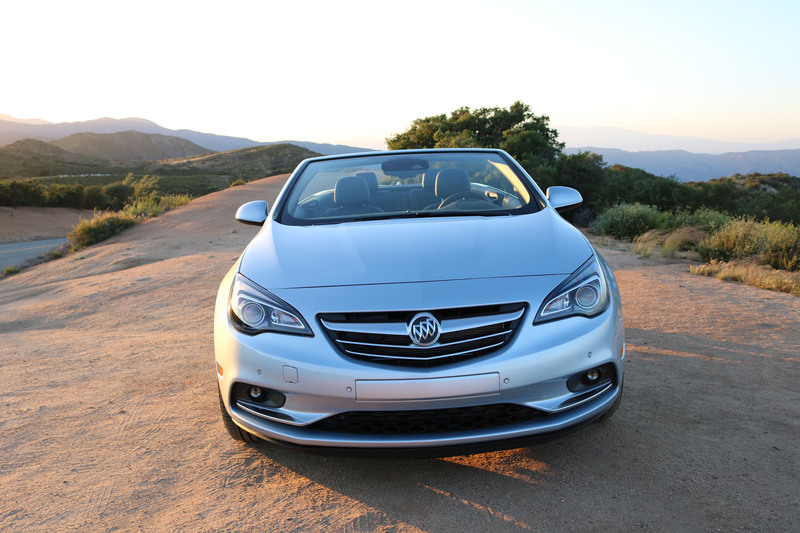 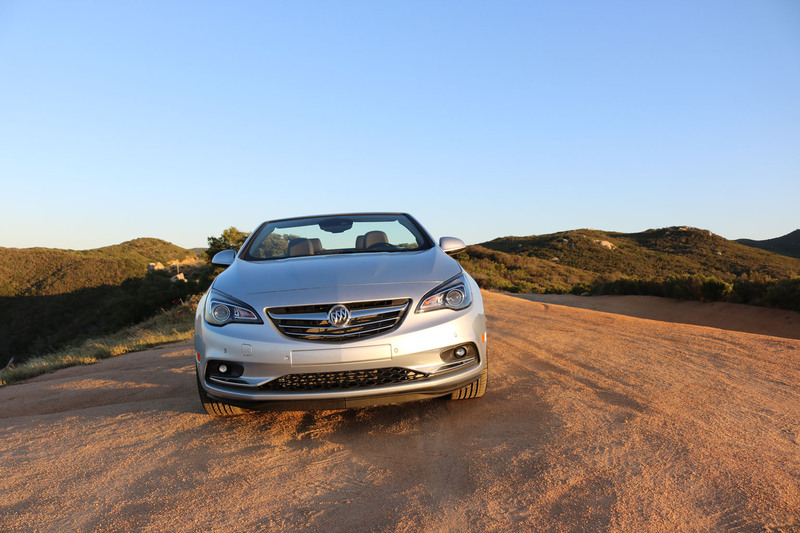 With the side windows up it still provides a comfortable enough open top ride for even the rear passengers. 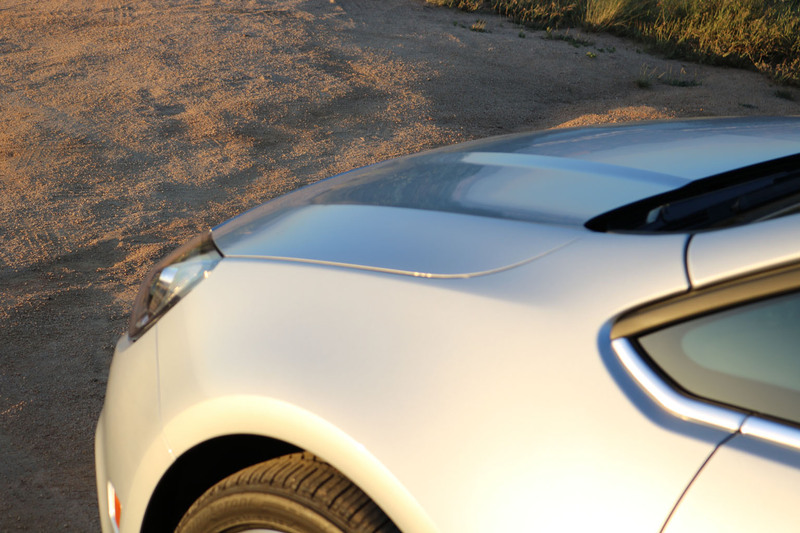 What didn’t I like? 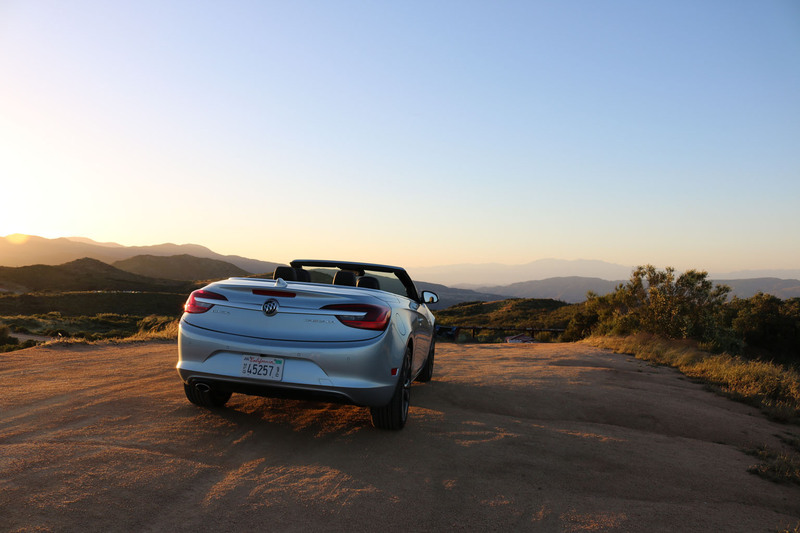 I could’ve used a bit stronger of an engine, since driving up the mountains it needed to be revved up quite a bit to seemingly keep it going. 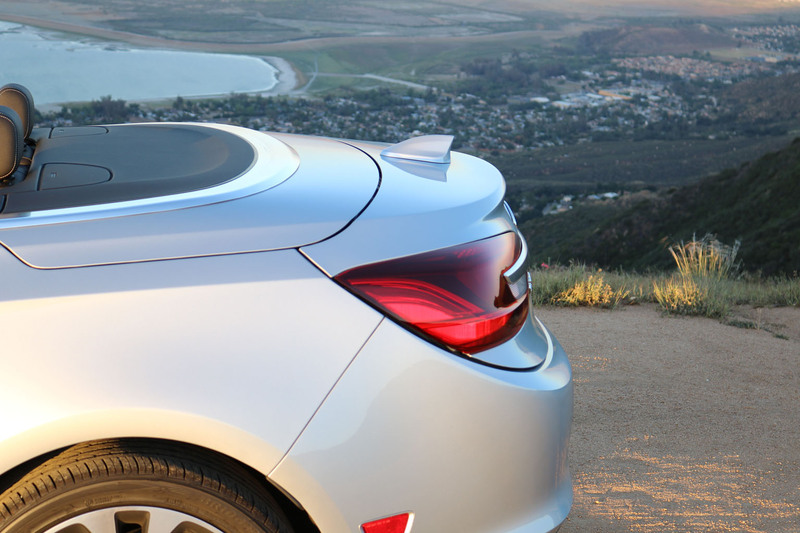 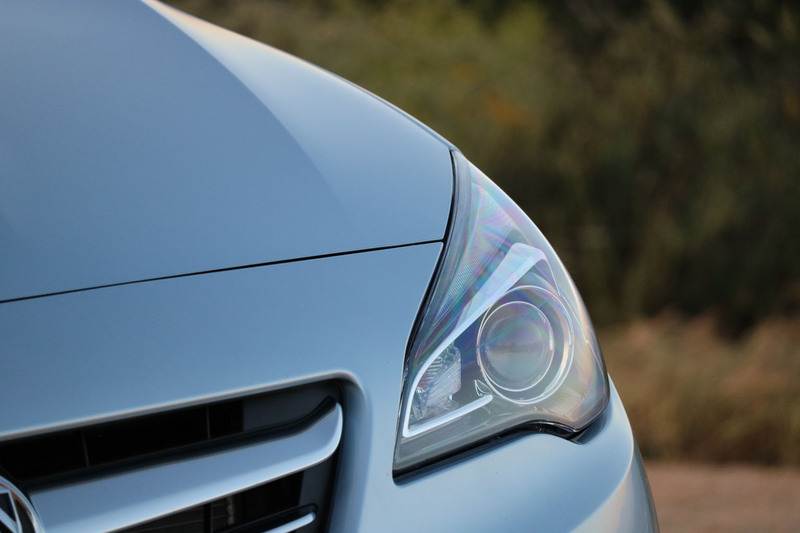 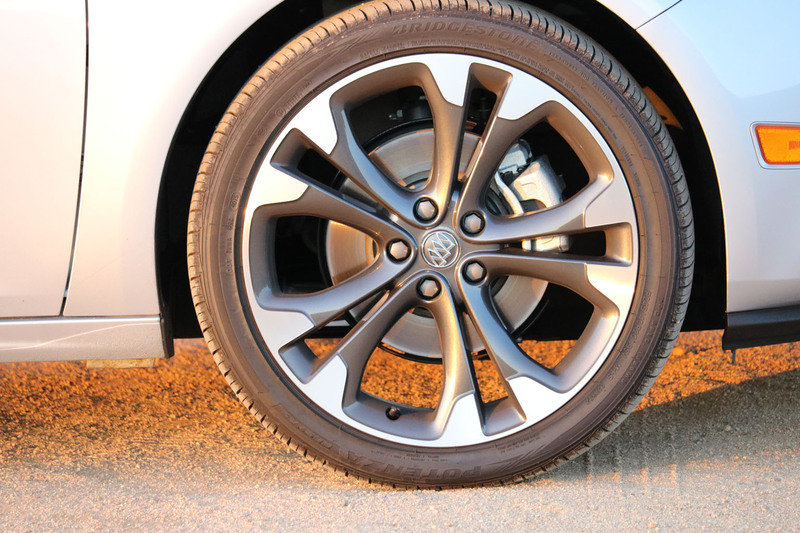 The quality was not bad, it just wasn’t Hyundai/Kia. 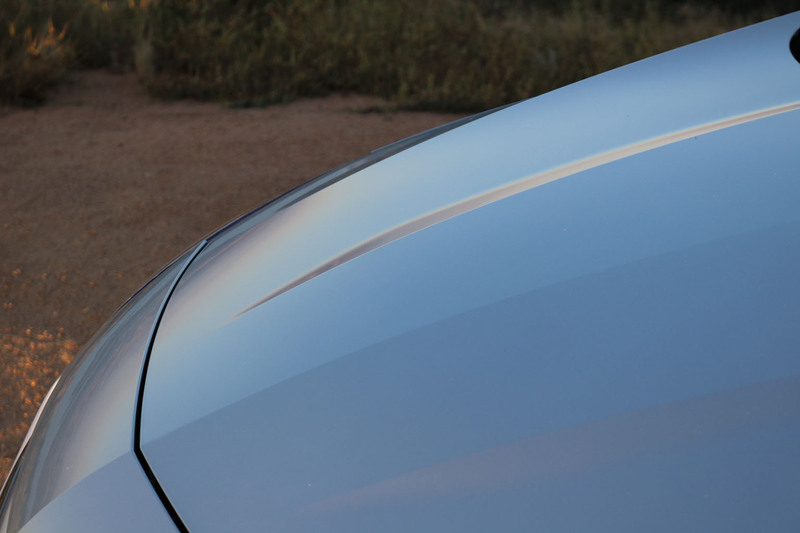 I saw some tolerance issues in the interior fit and finish that I wish they would’ve corrected in the end control. 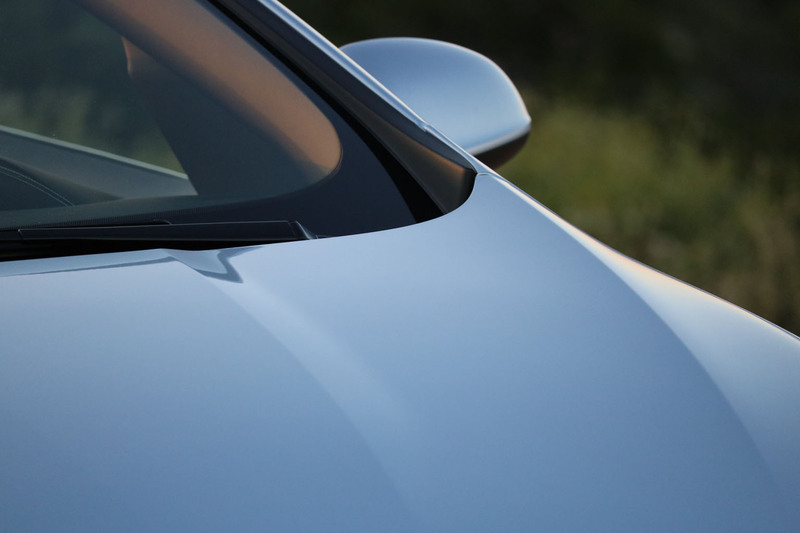 I know it is Poland, but Poland deems itself part of the EU, takes part in the EuroVision Song Contest, has a GM factory that delivers vehicles world wide, and they have been part of the Western World now since the fall of the Berlin Wall, so I don’t really accept any of that as an excuse. 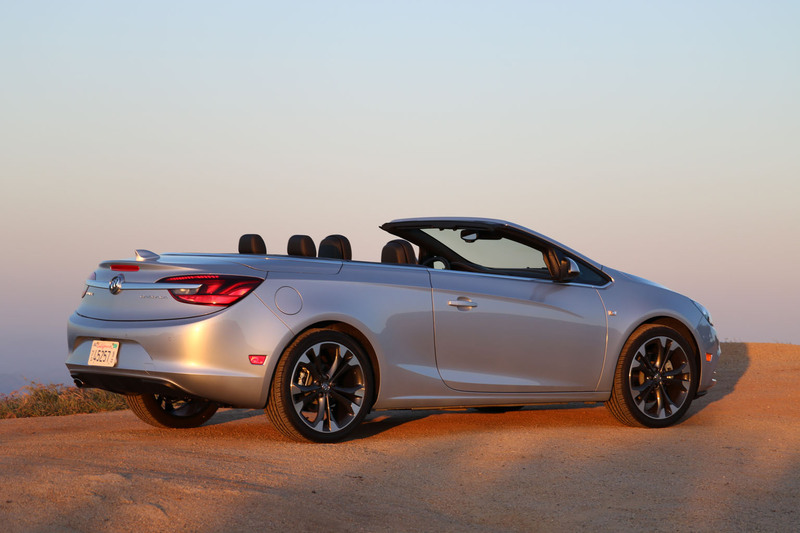 The negatives in no way outweigh the positives, and if I would buy one of them I would simply insist the dealer to double check all fit and finish issues and have them taken care off before I sign on the dotted line. 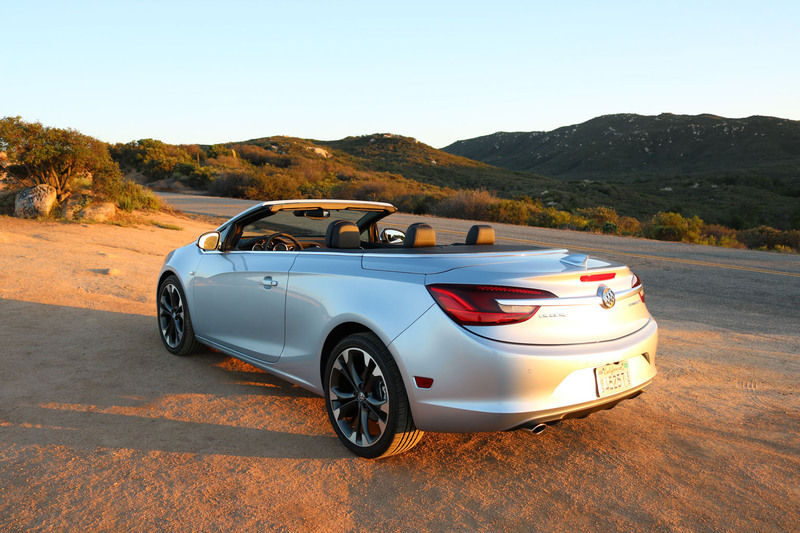 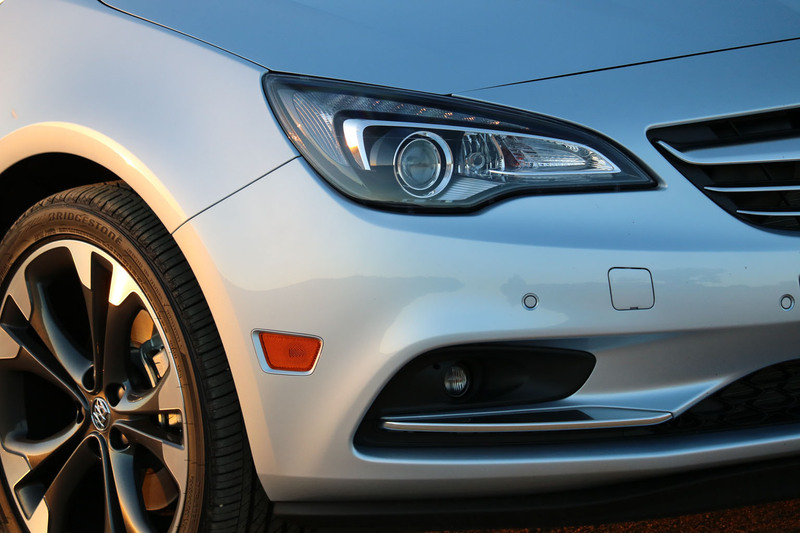 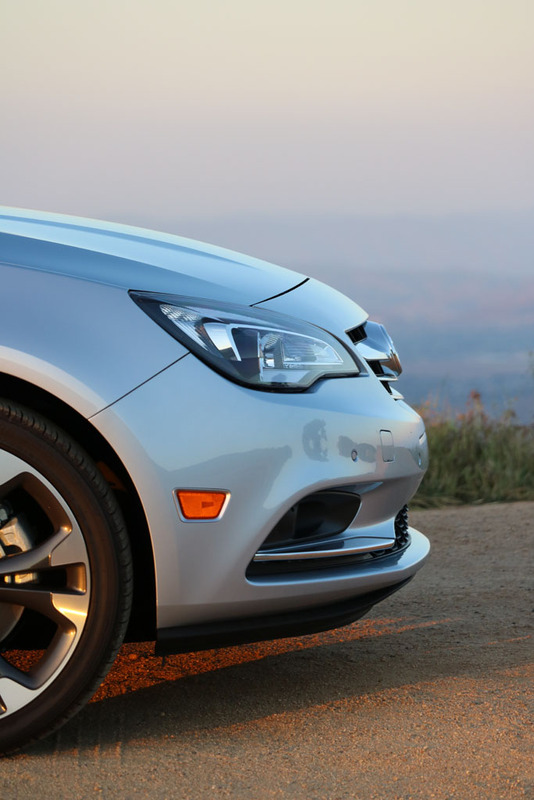 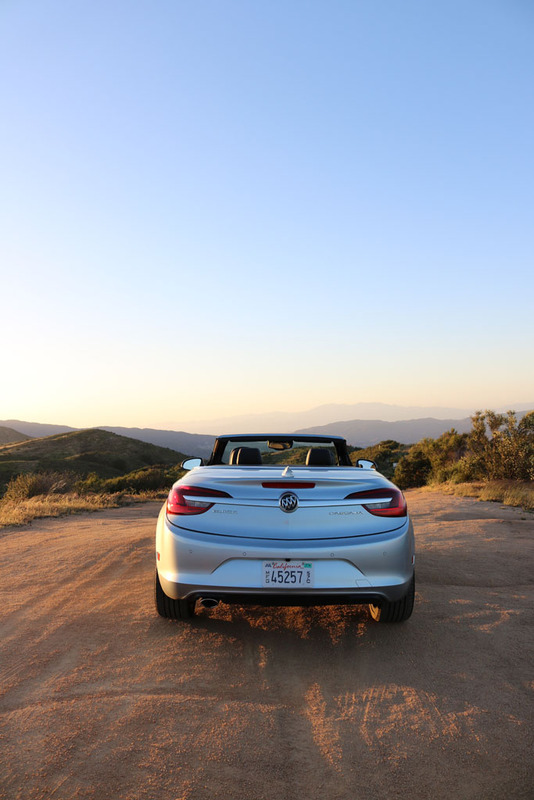 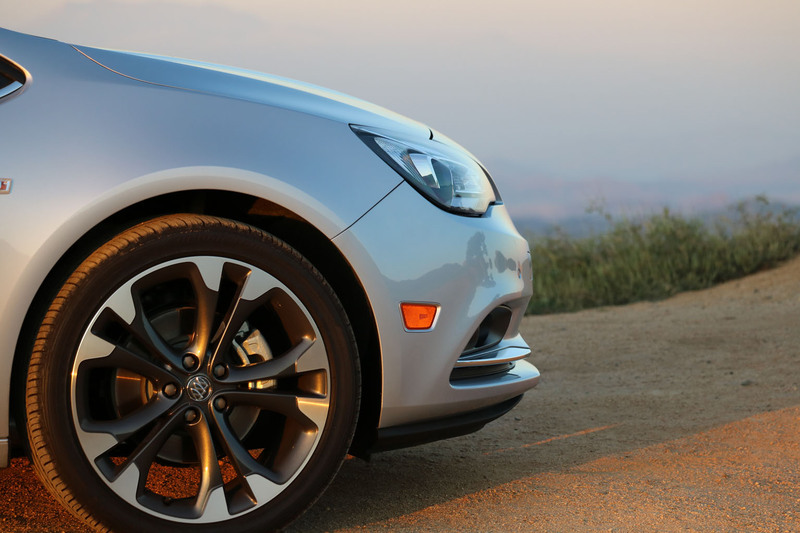 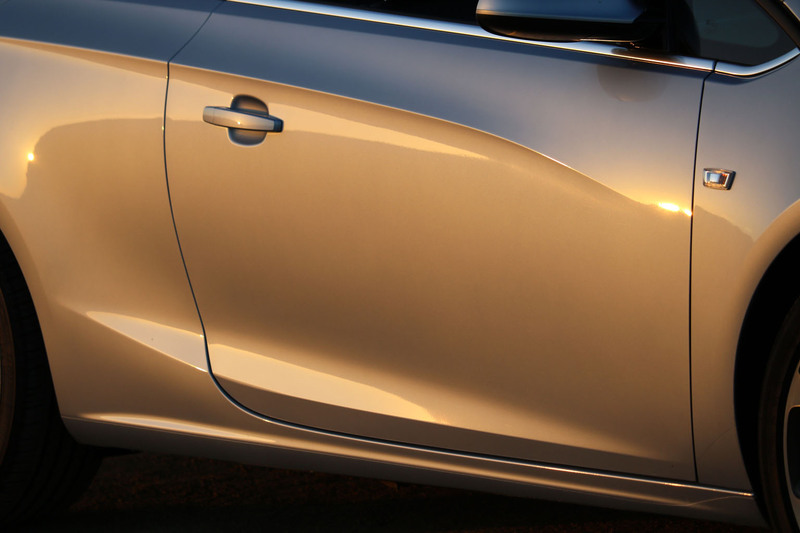 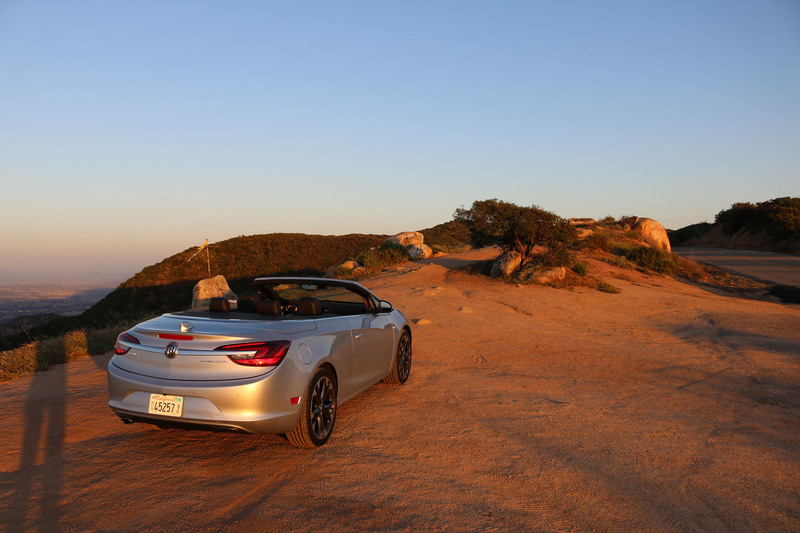 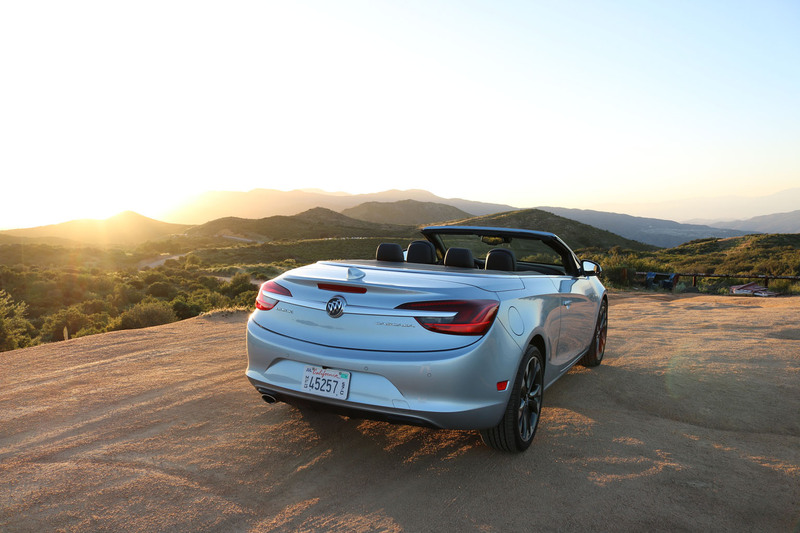 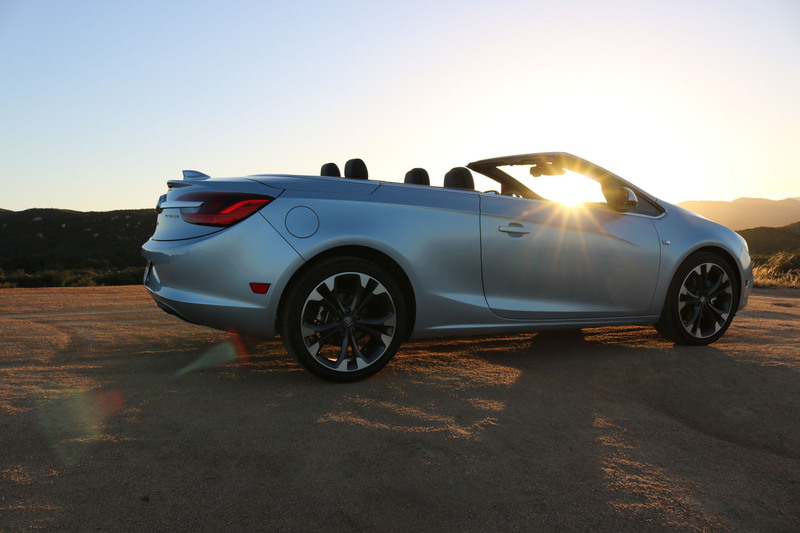 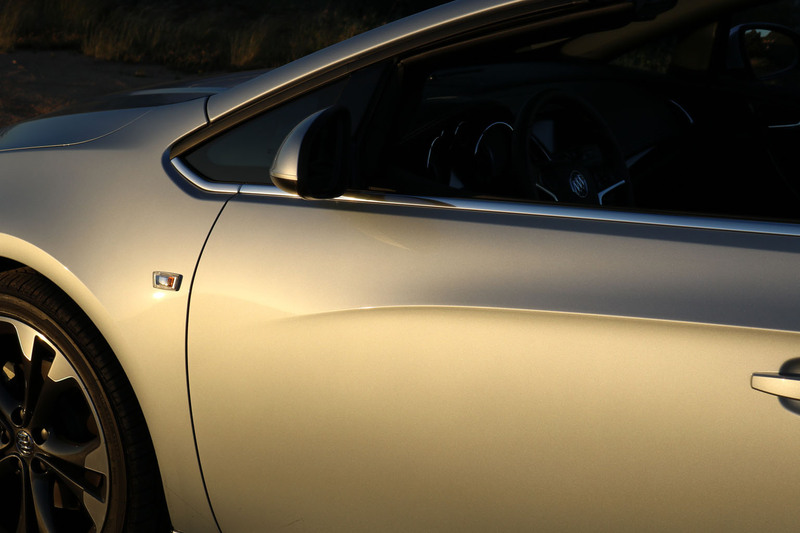 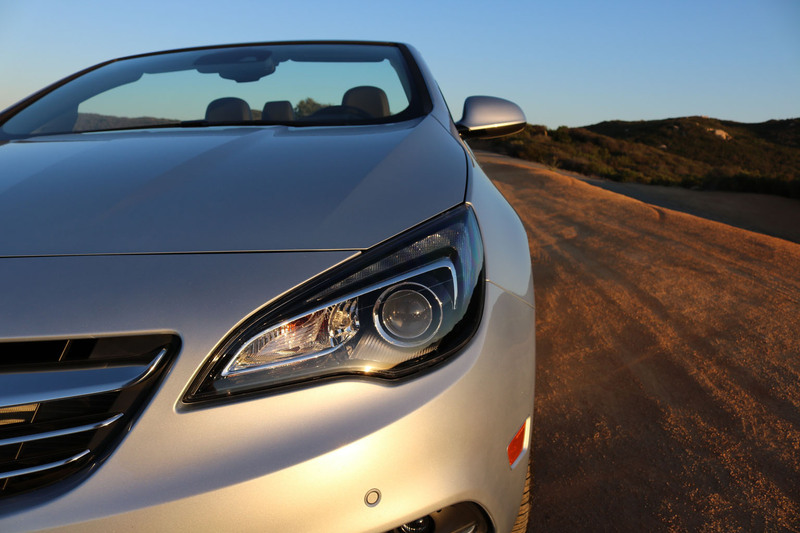 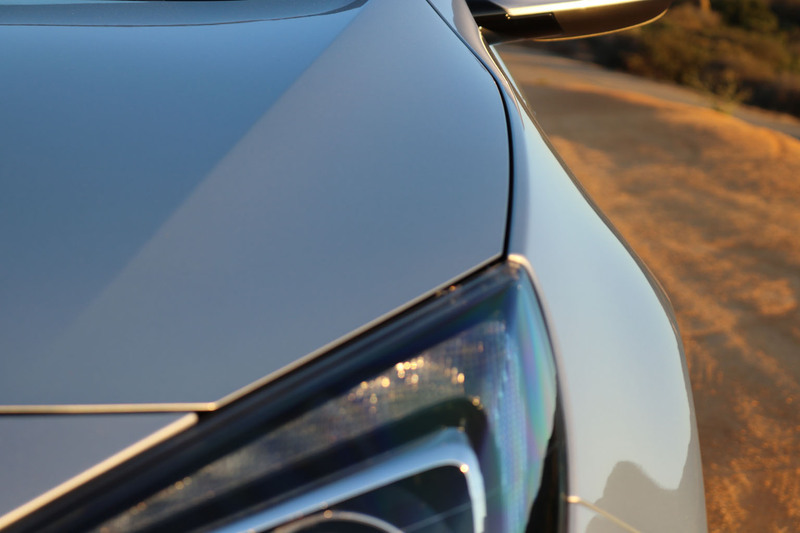 And then I would be off enjoying LIFE in this Buick Cascada, cuz man, it does invite you to do so, and it will be hard to wipe this grin off of your face.